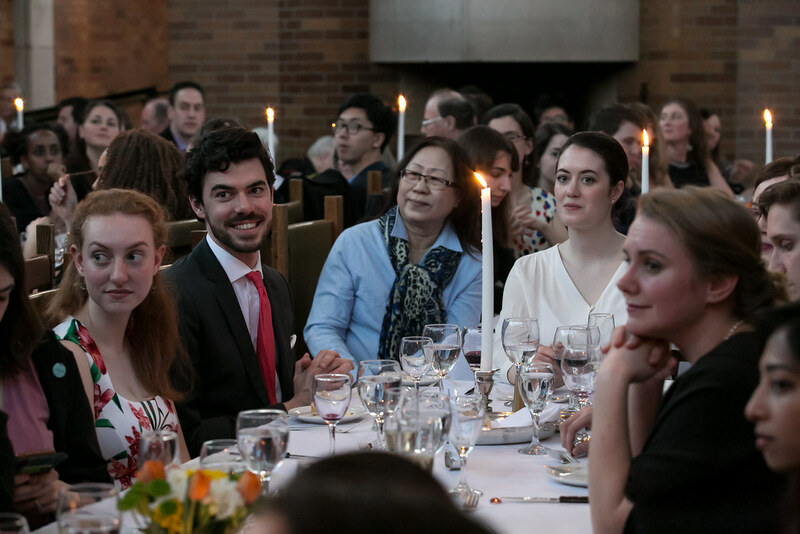 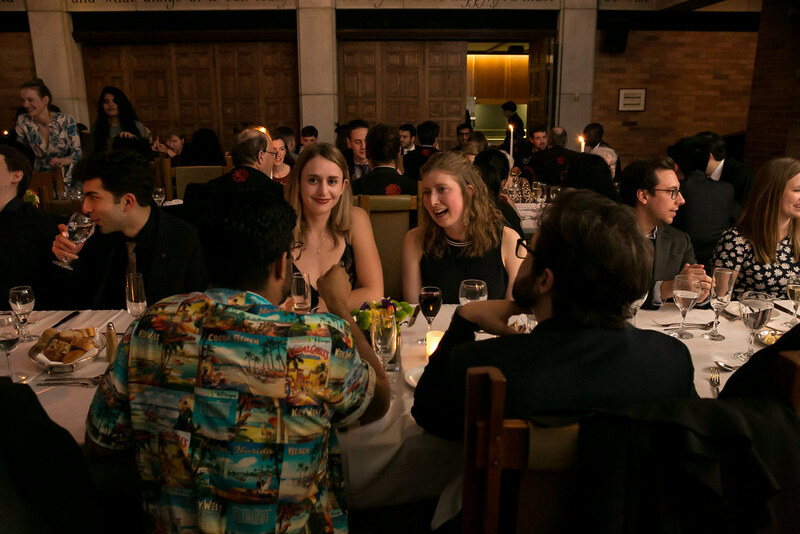 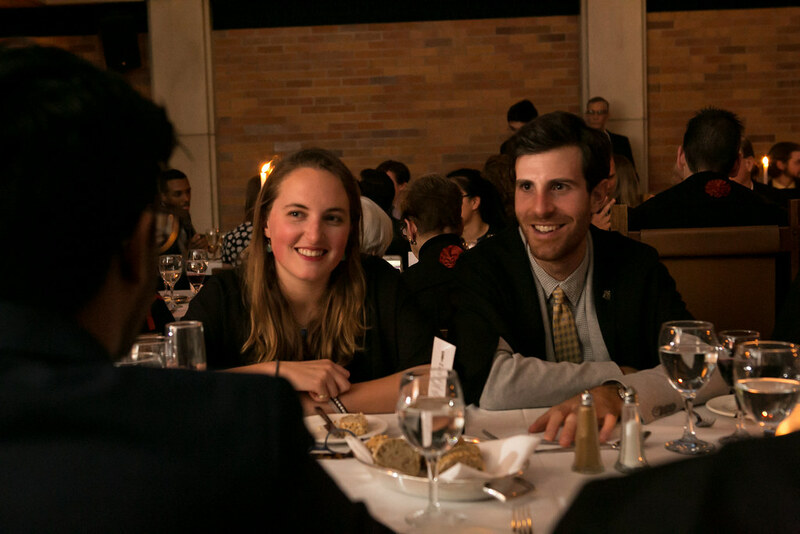 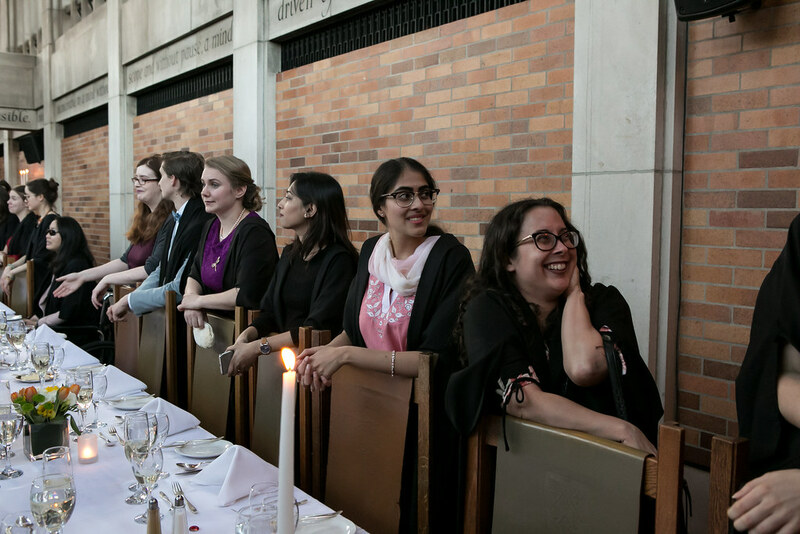 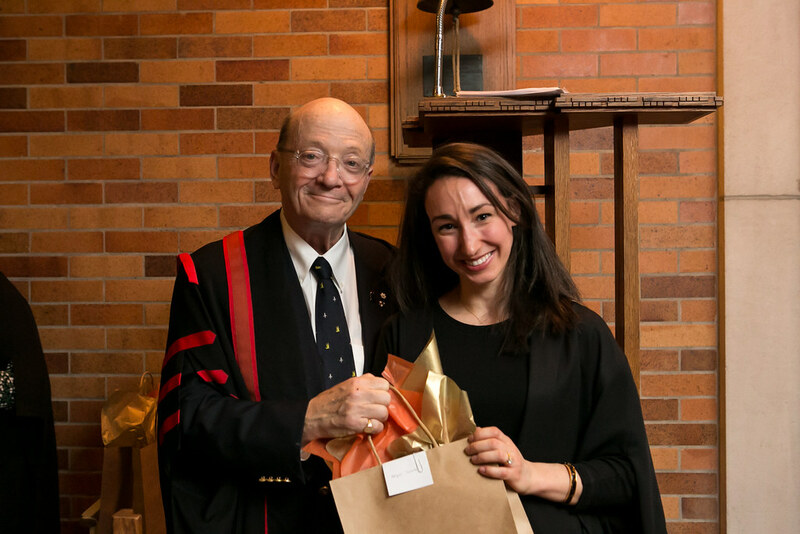 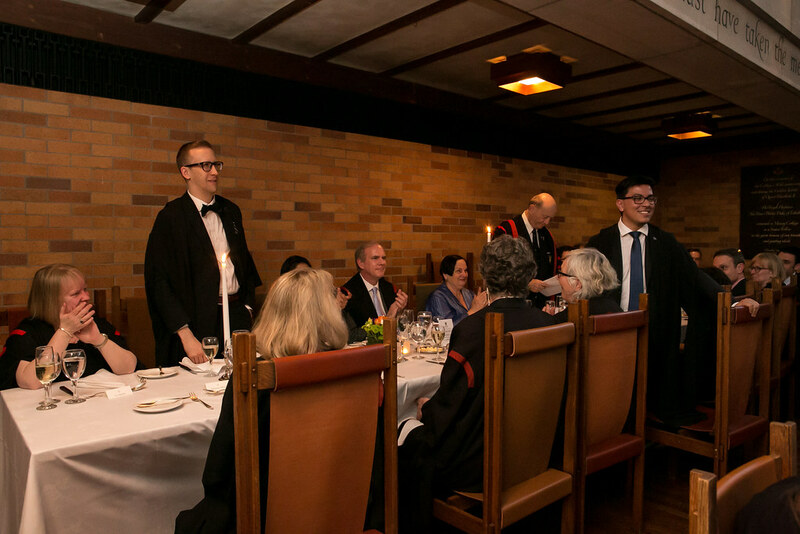 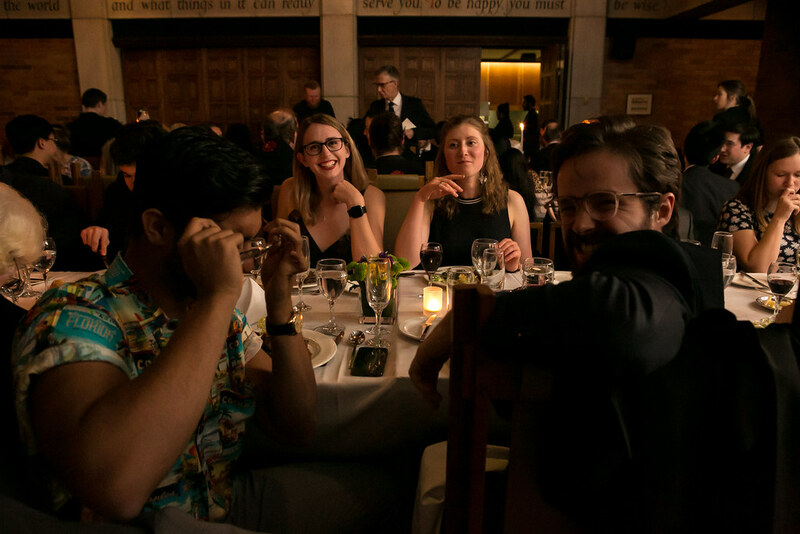 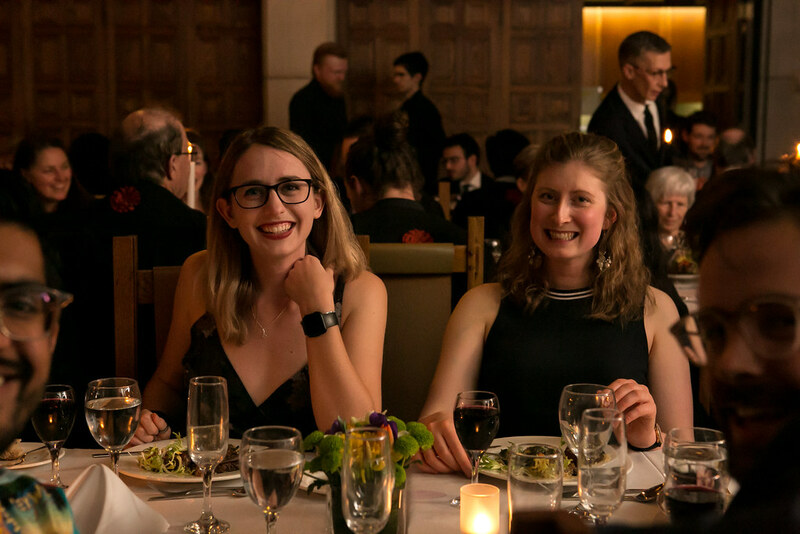 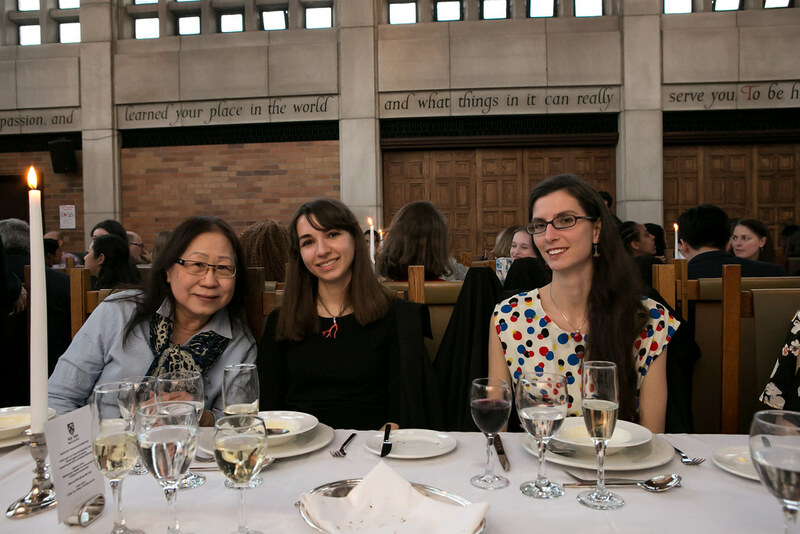 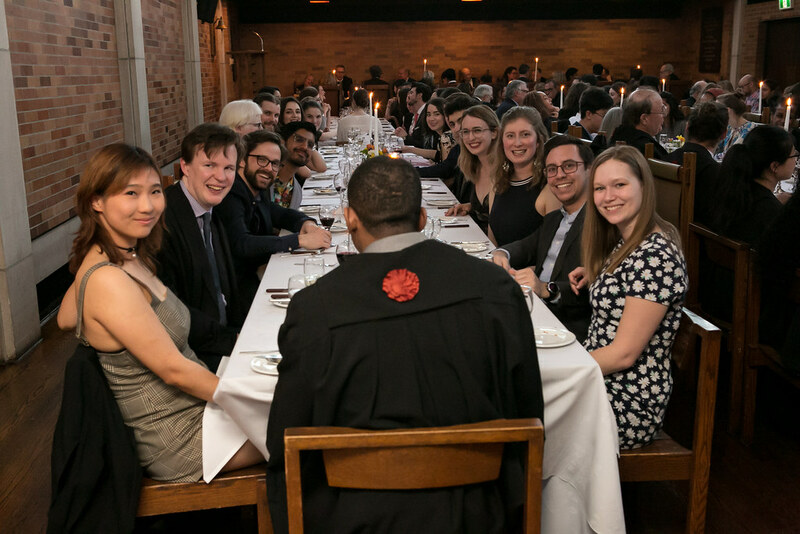 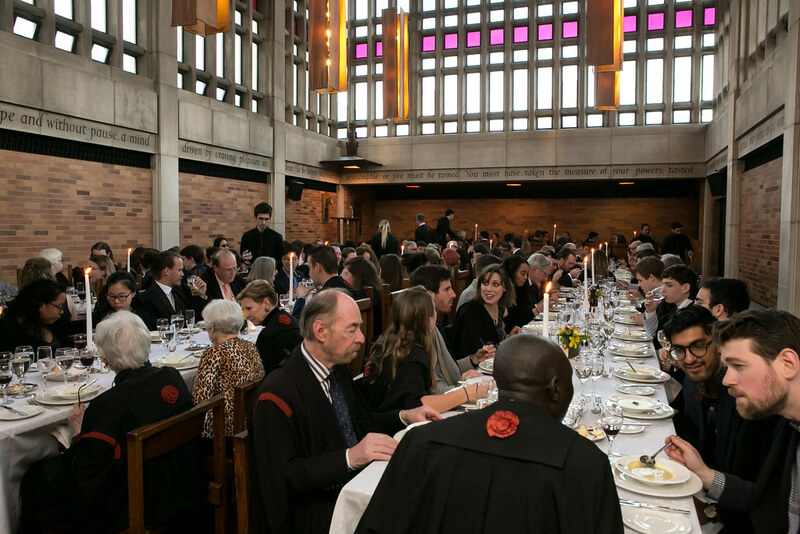 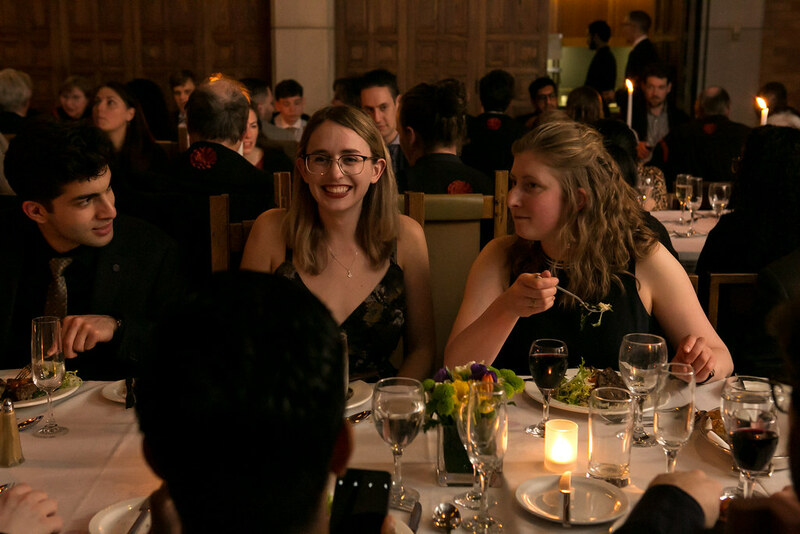 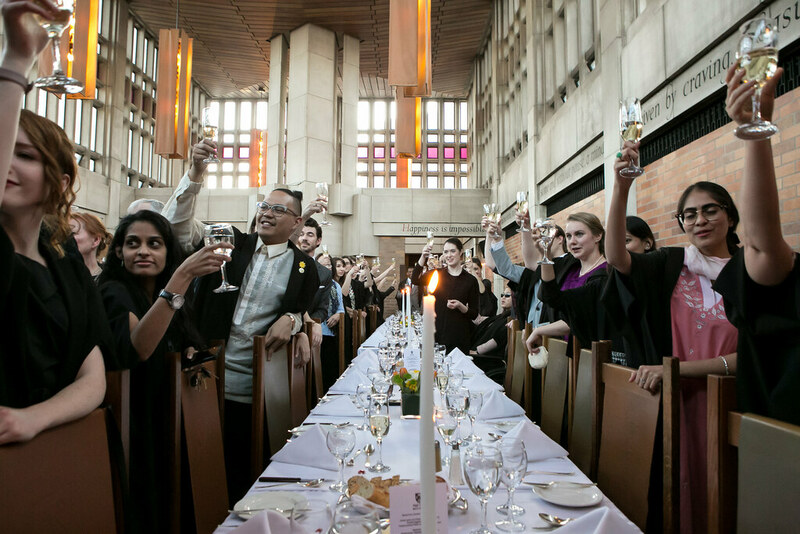 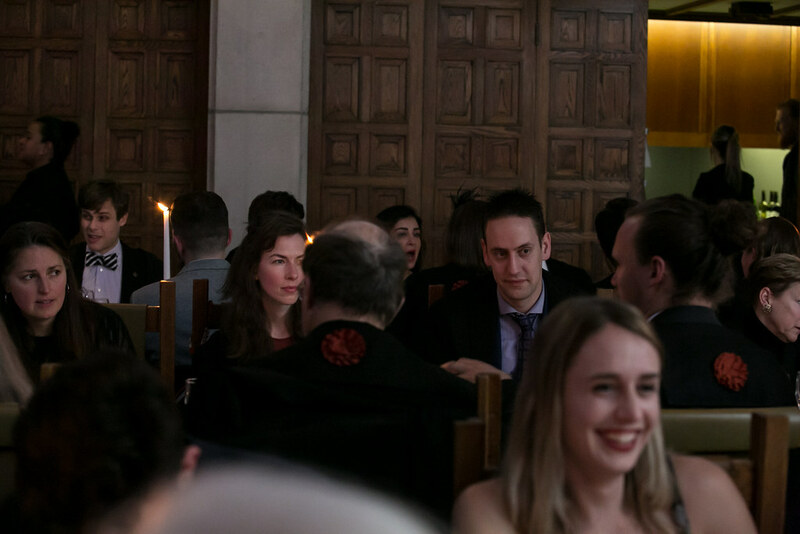 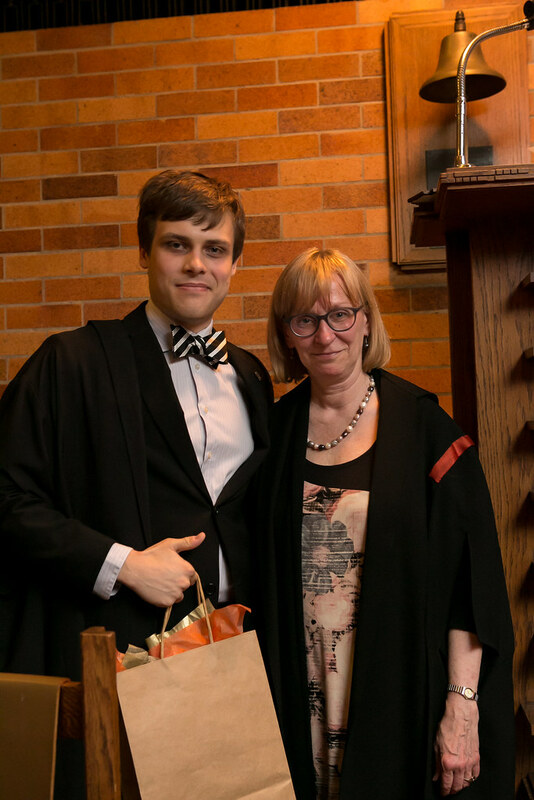 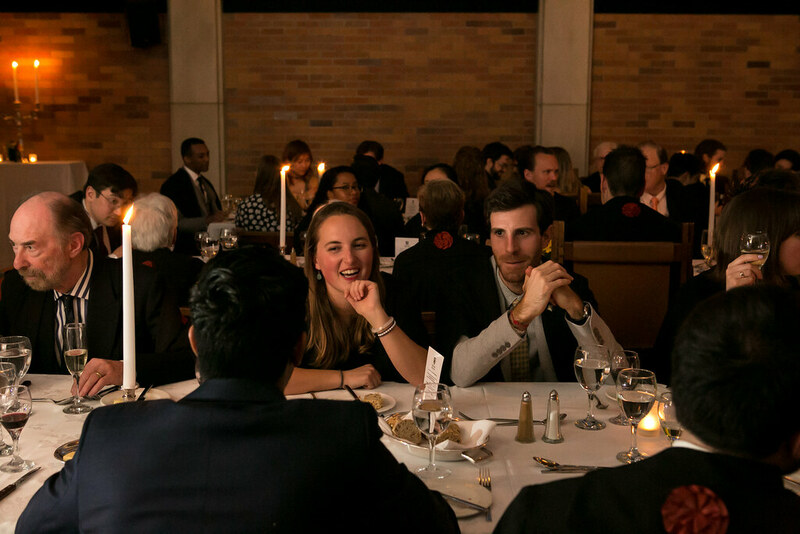 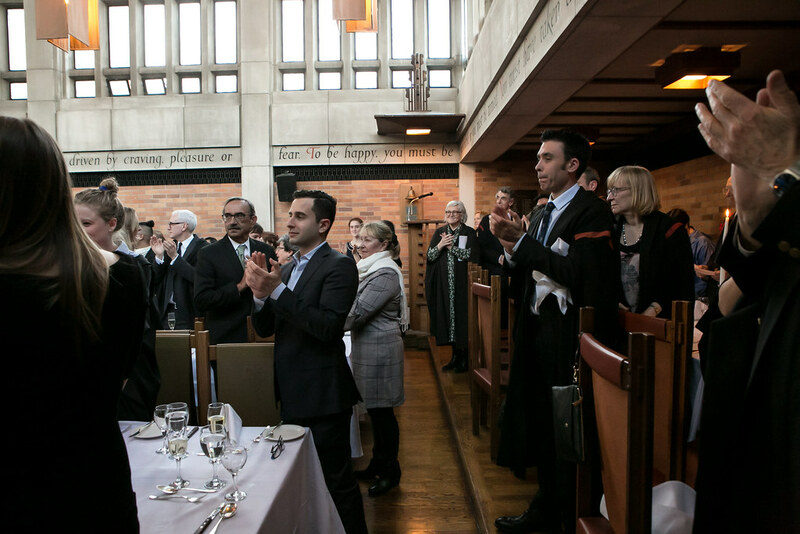 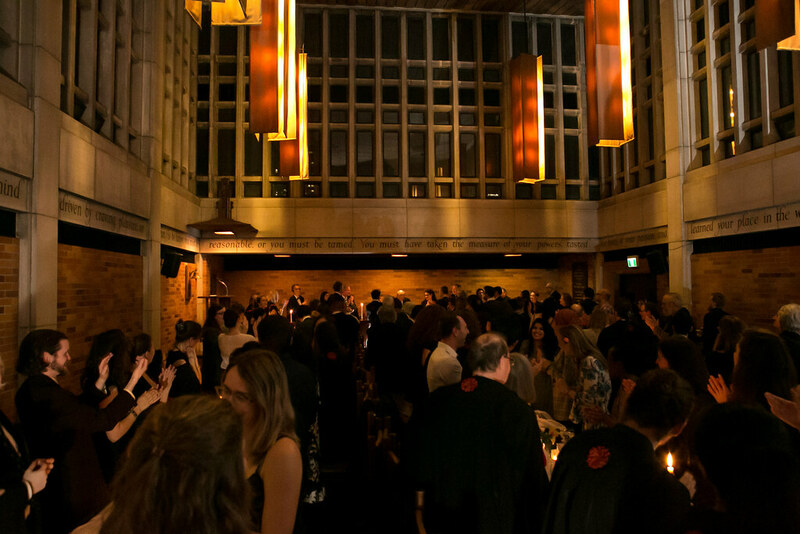 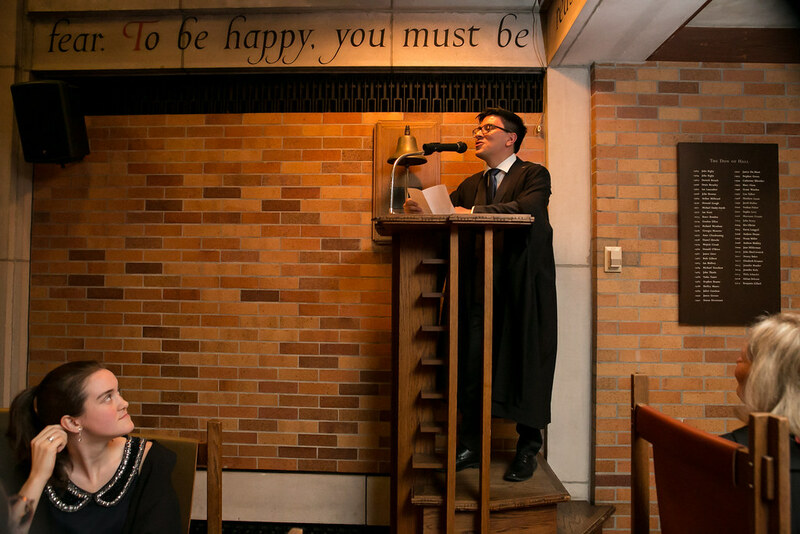 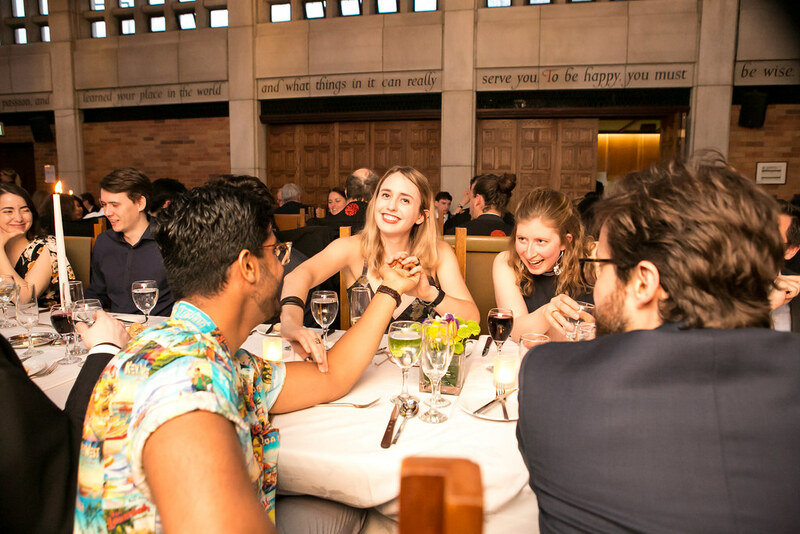 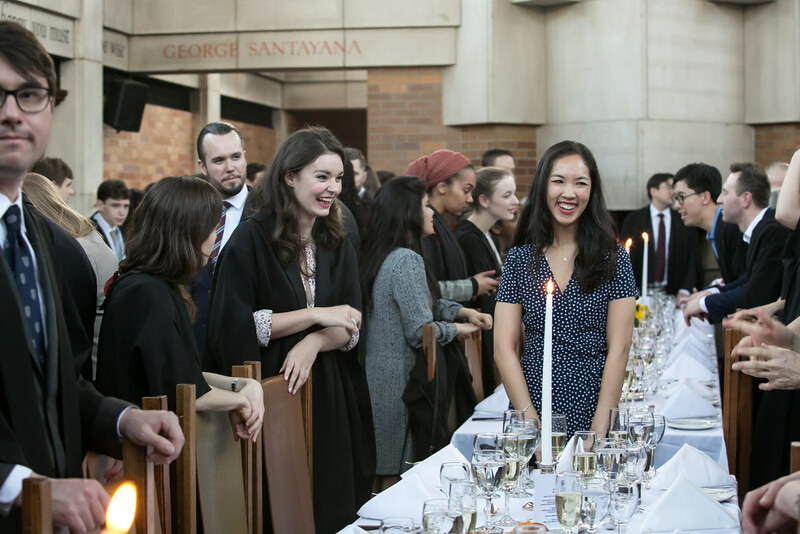 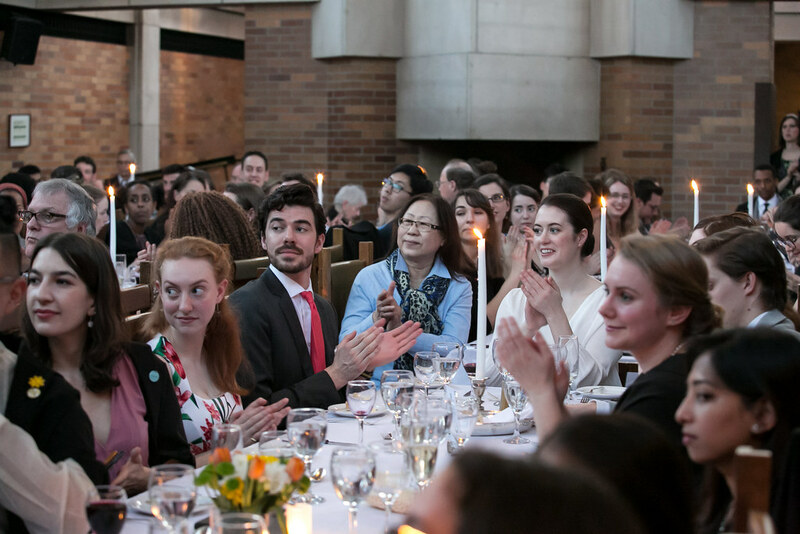 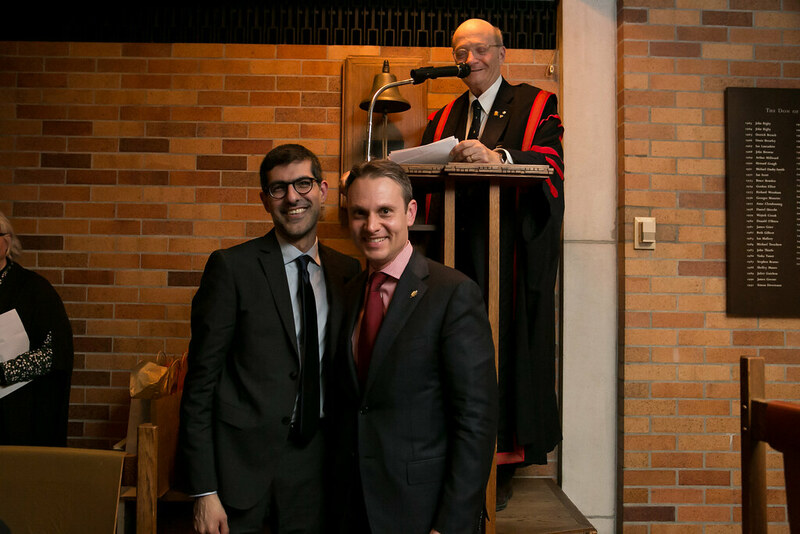 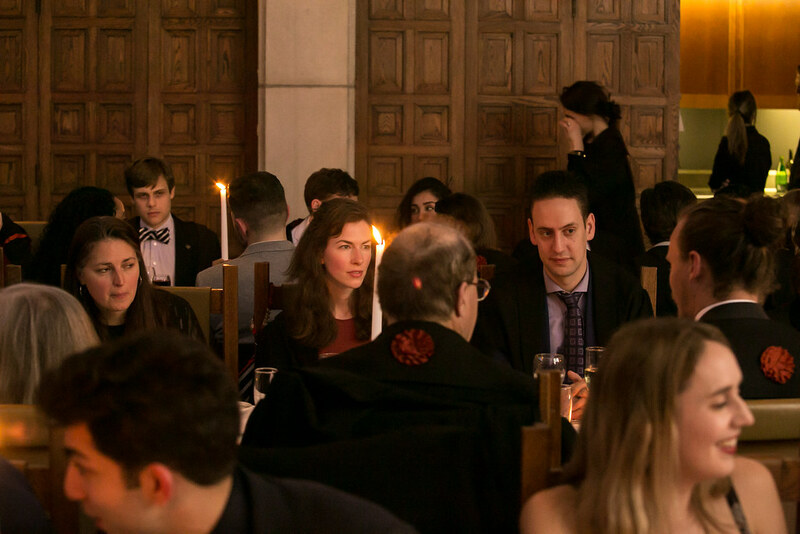 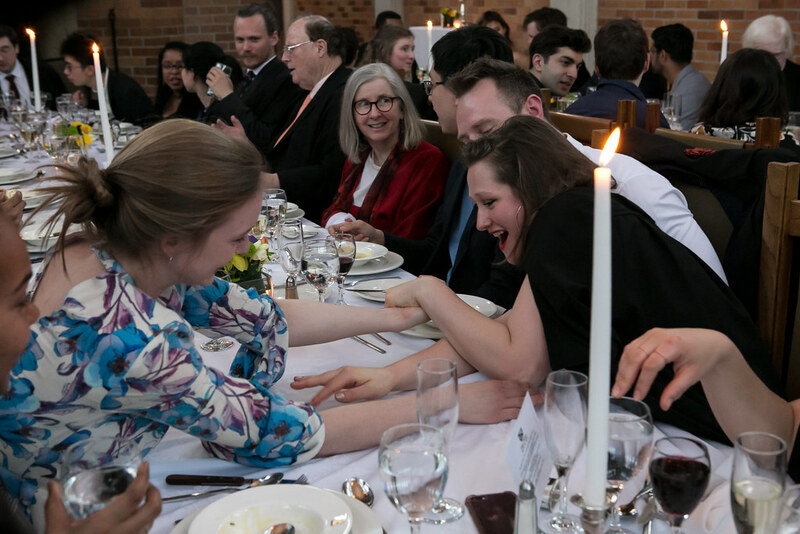 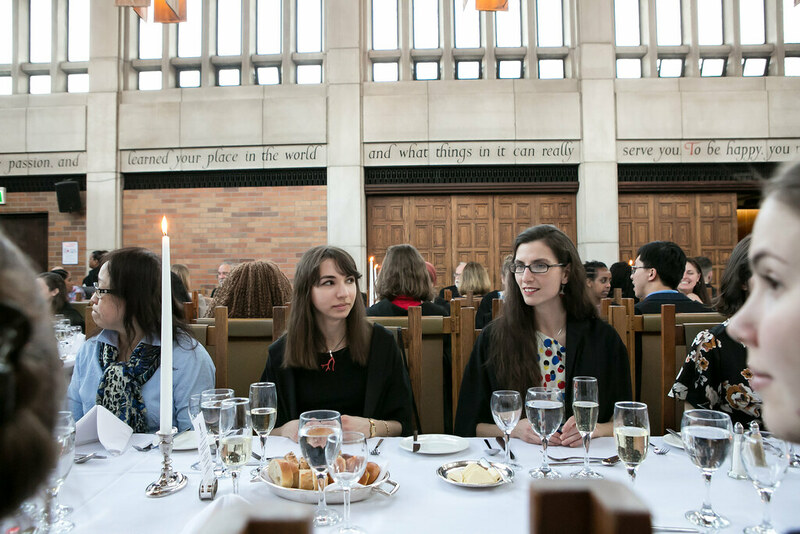 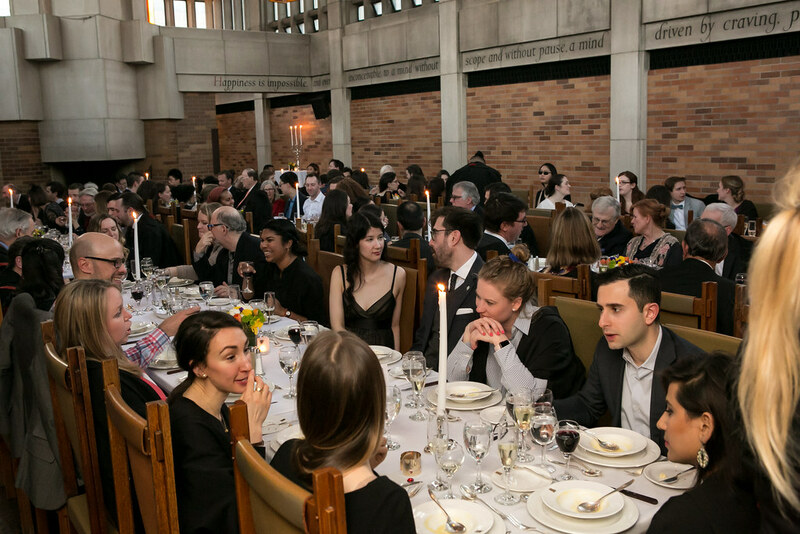 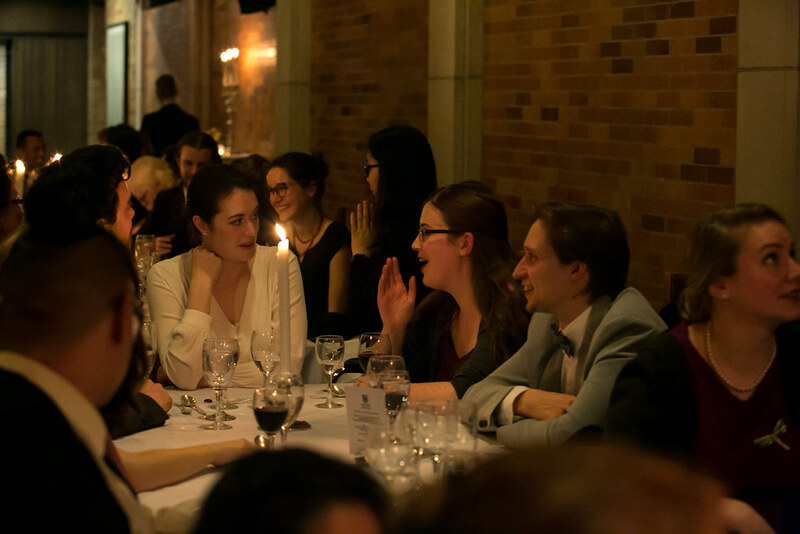 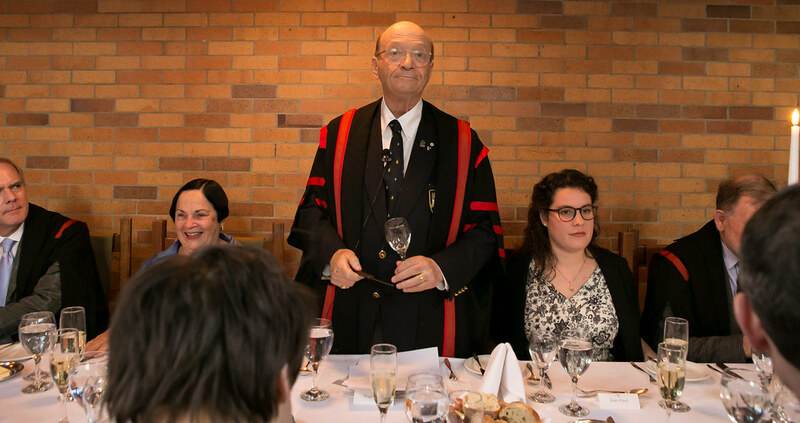 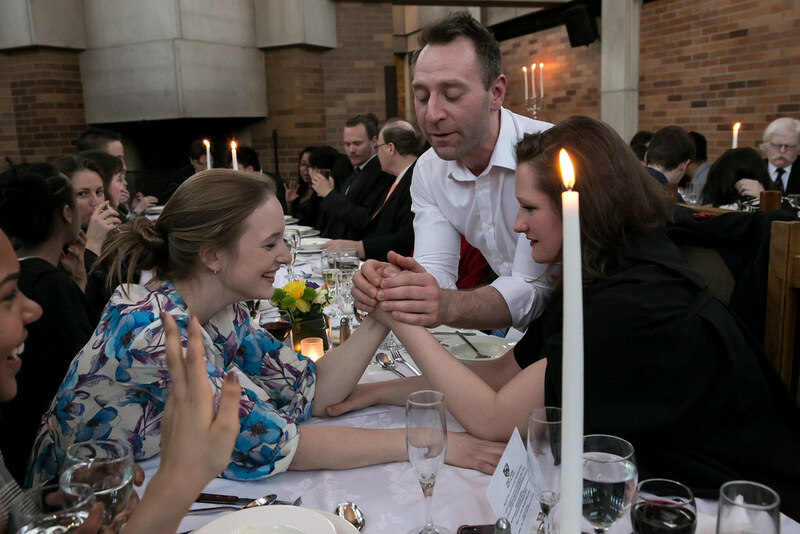 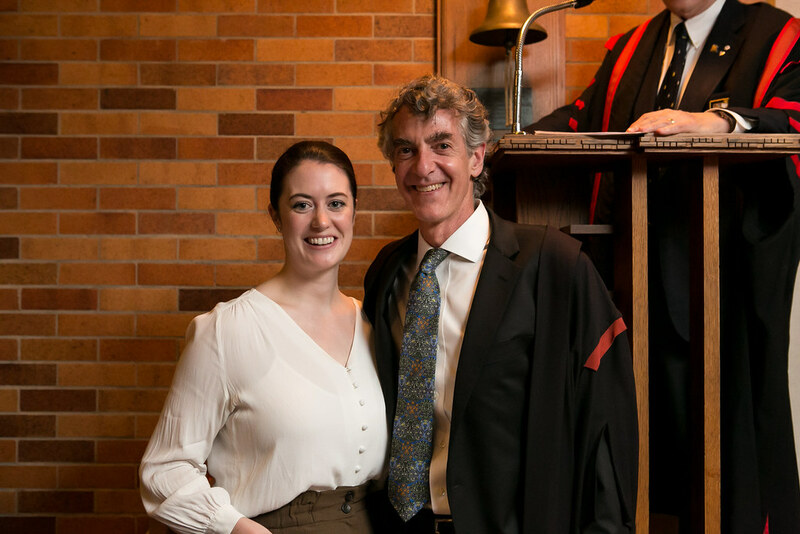 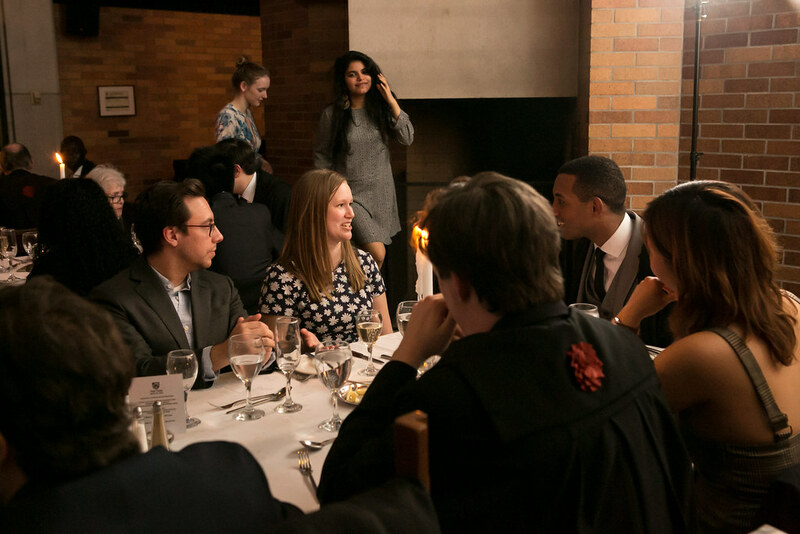 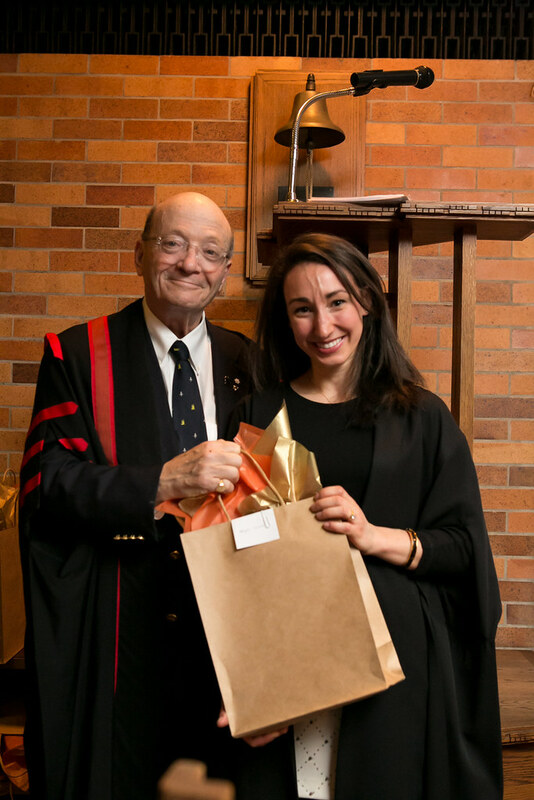 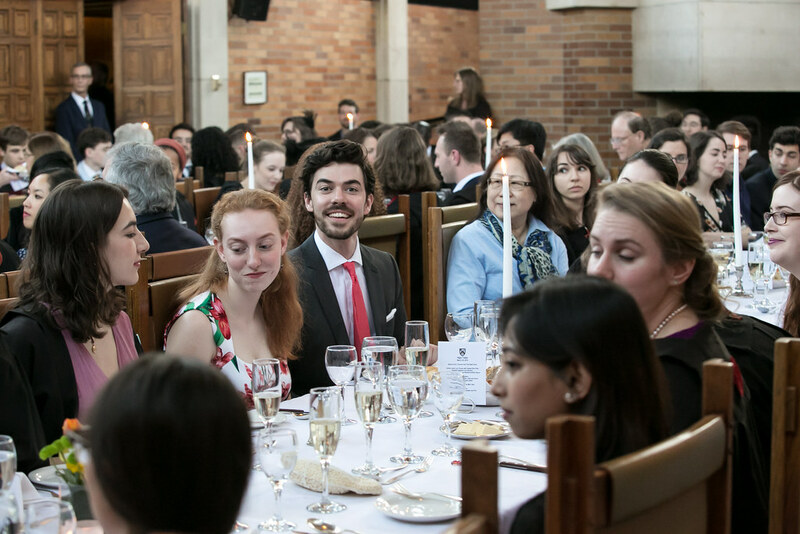 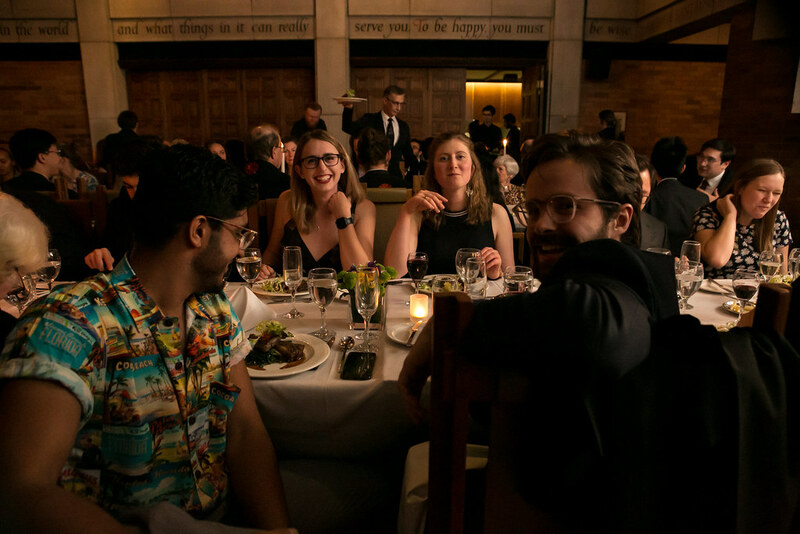 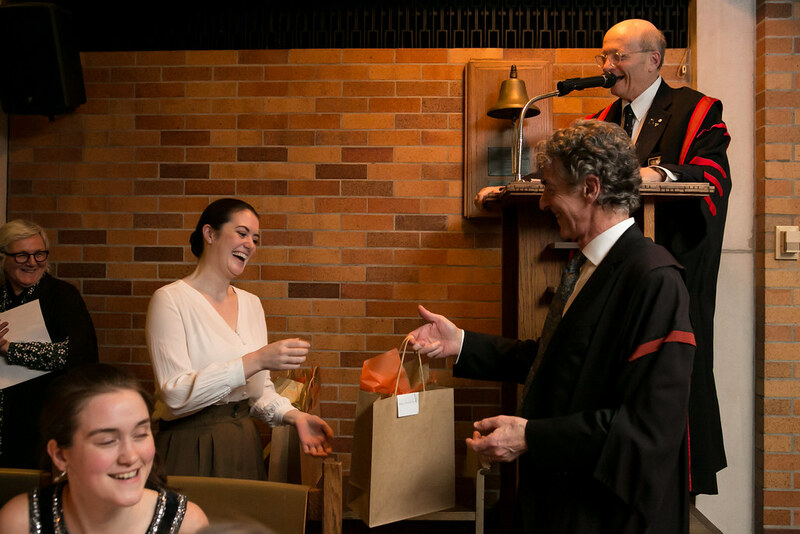 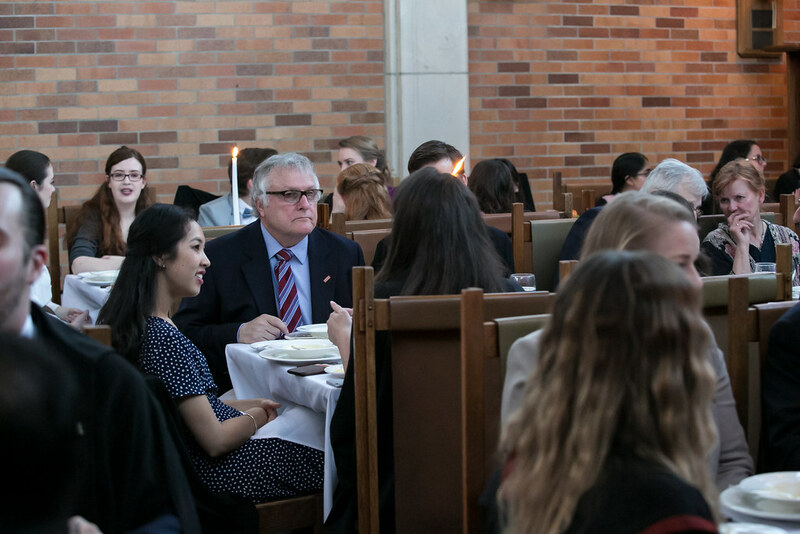 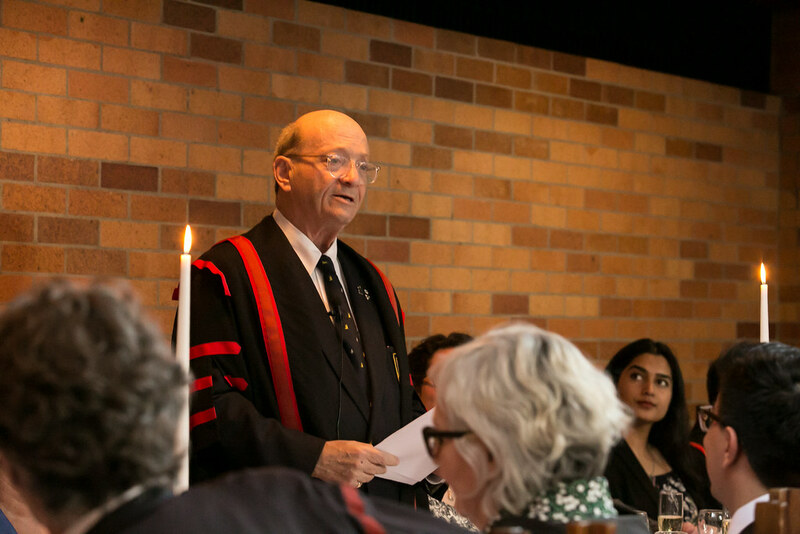 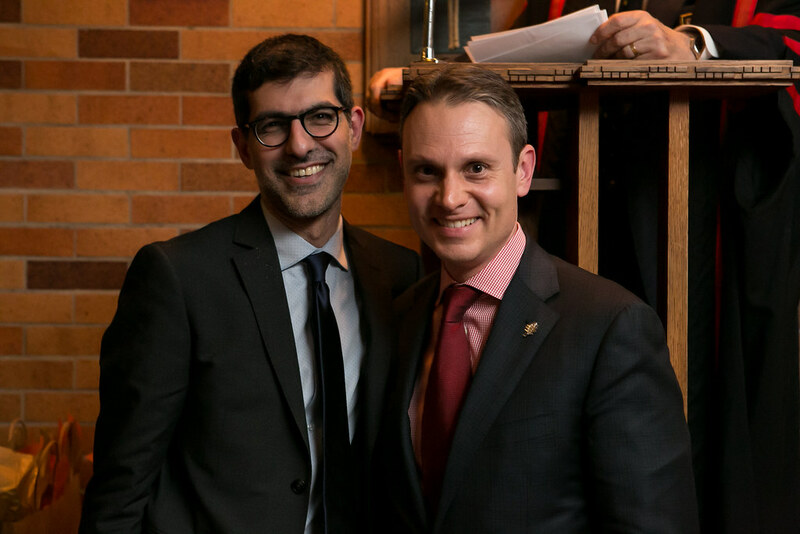 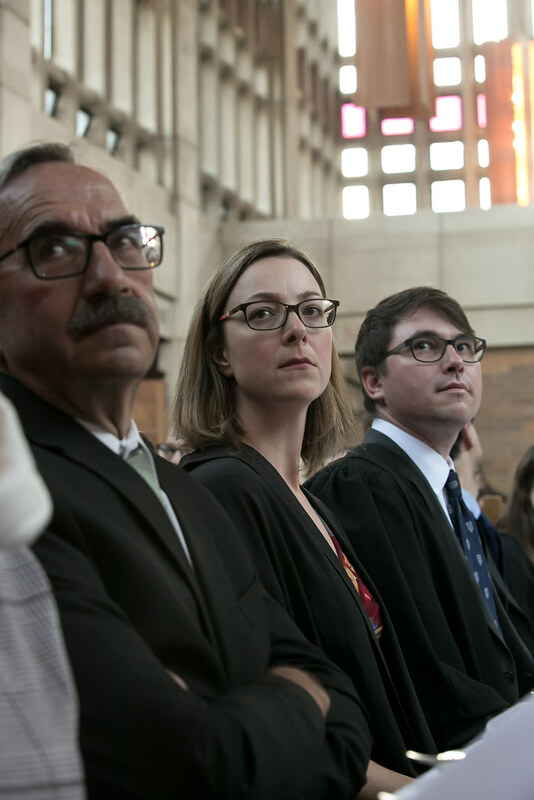 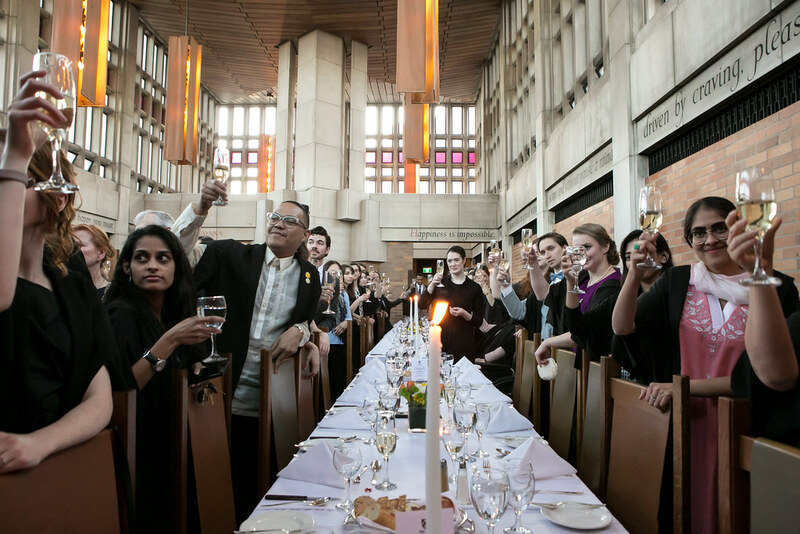 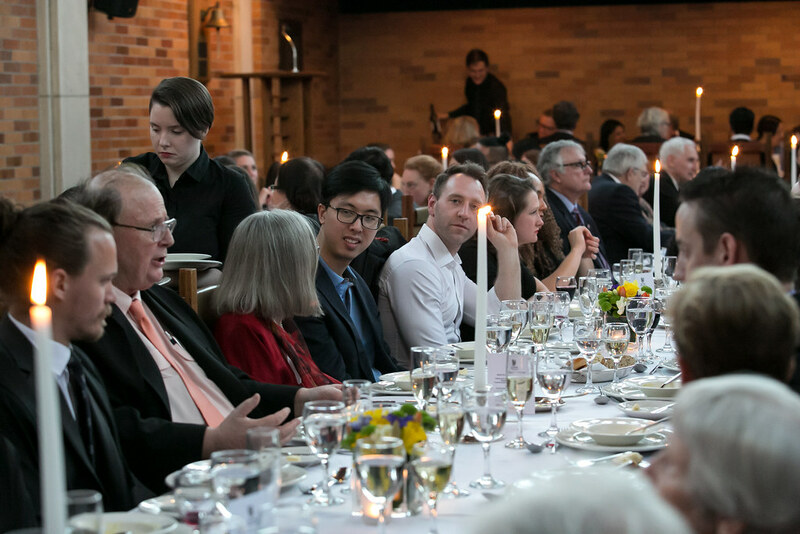 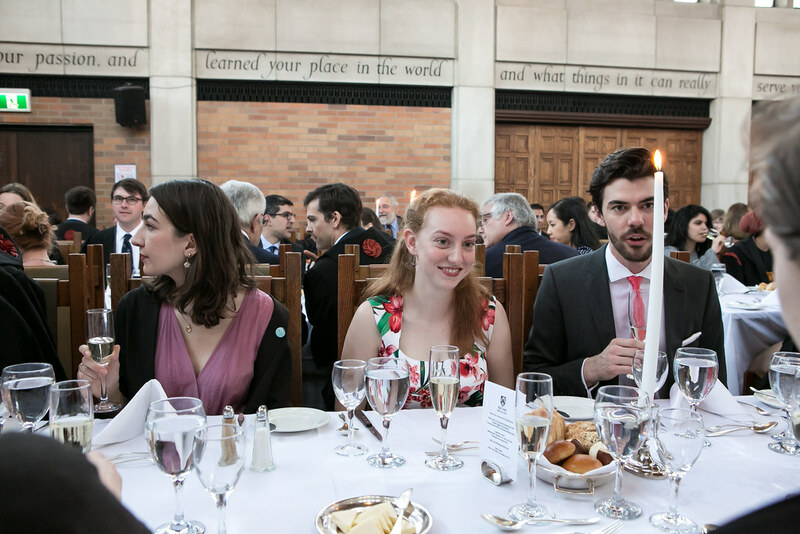 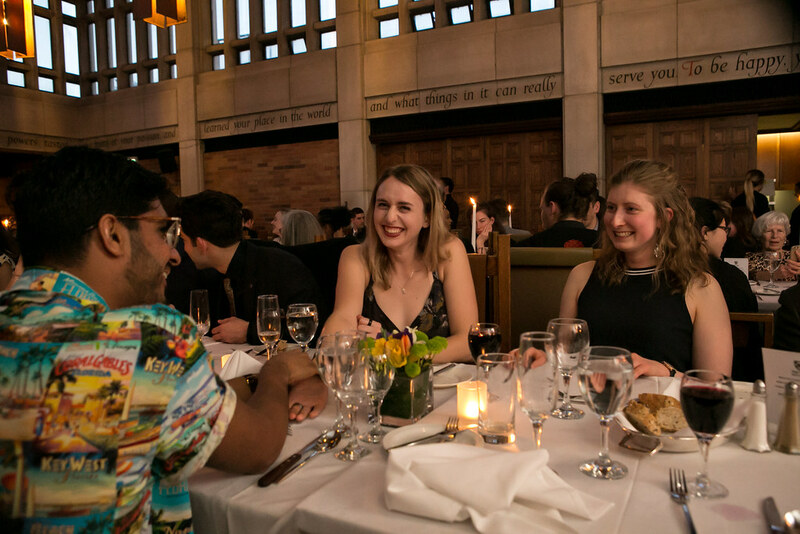 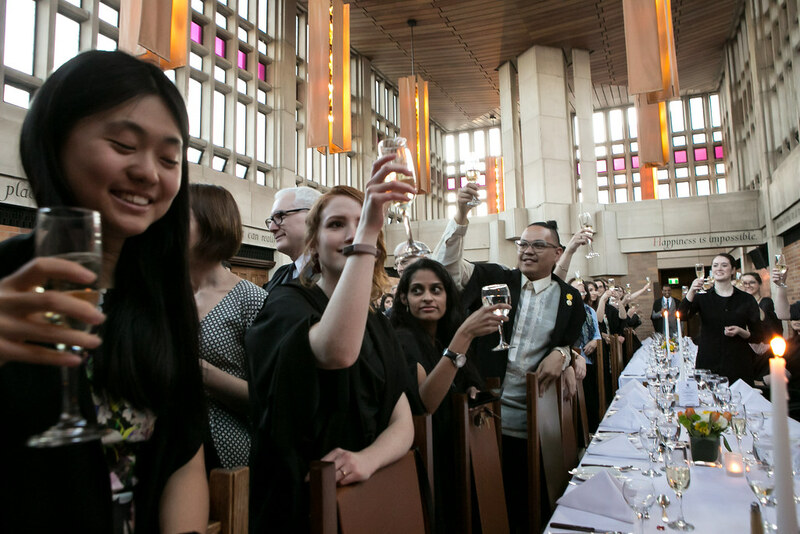 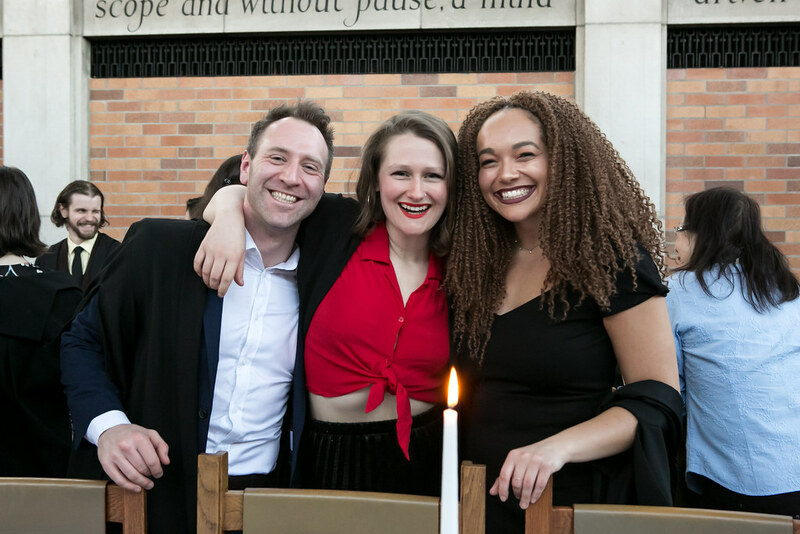 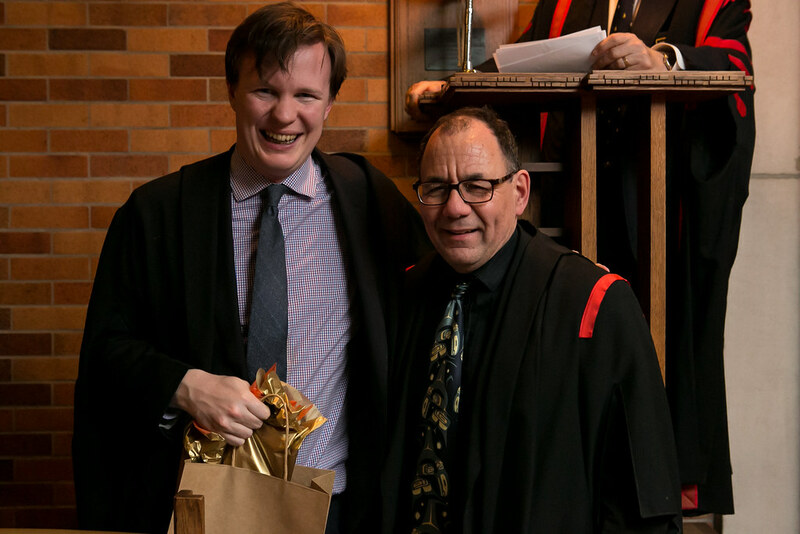 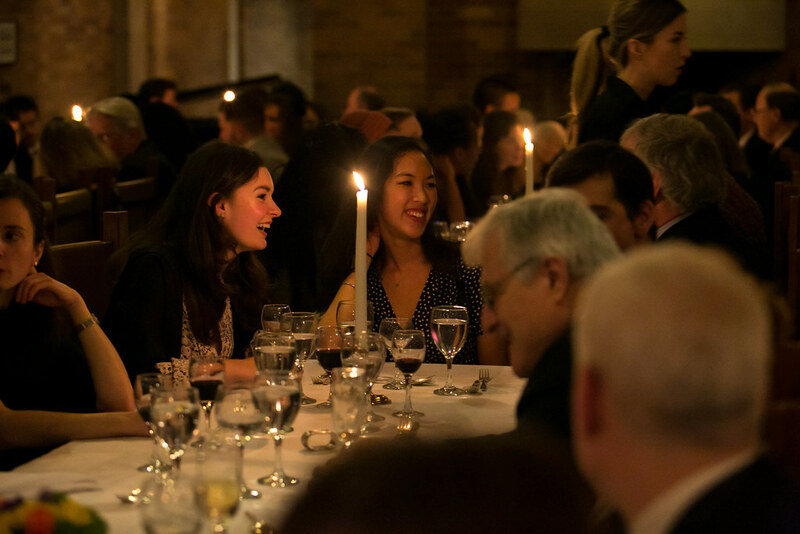 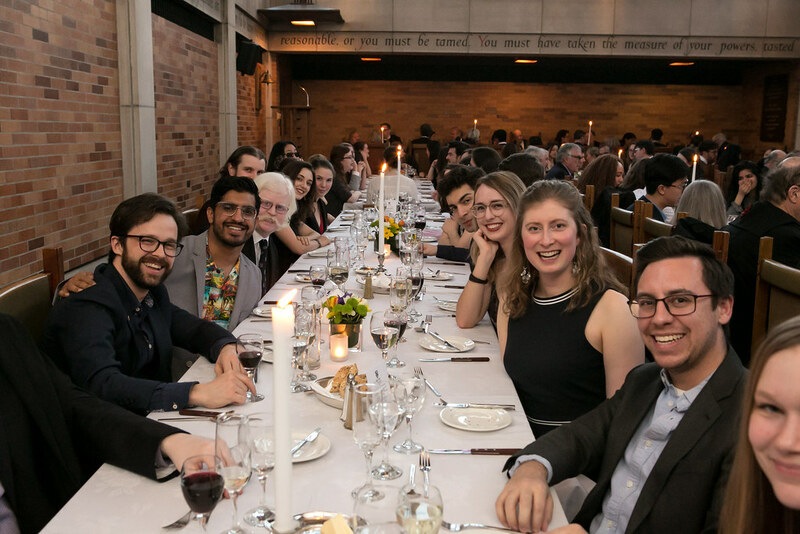 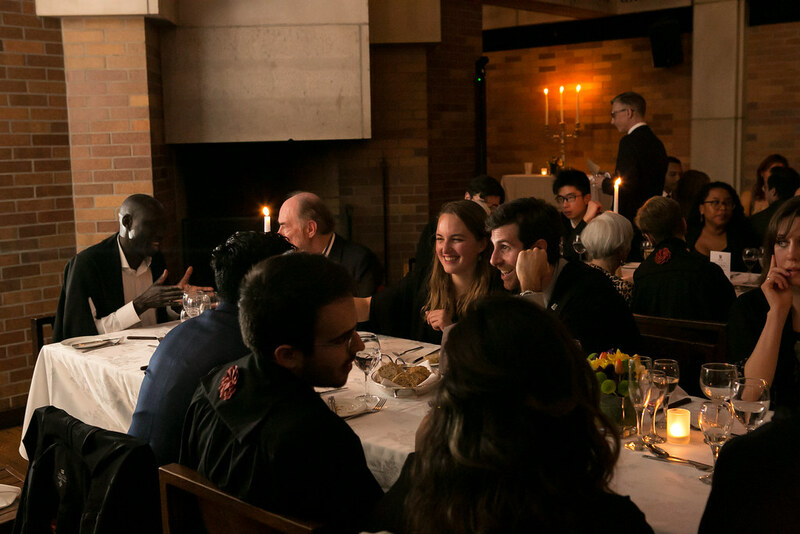 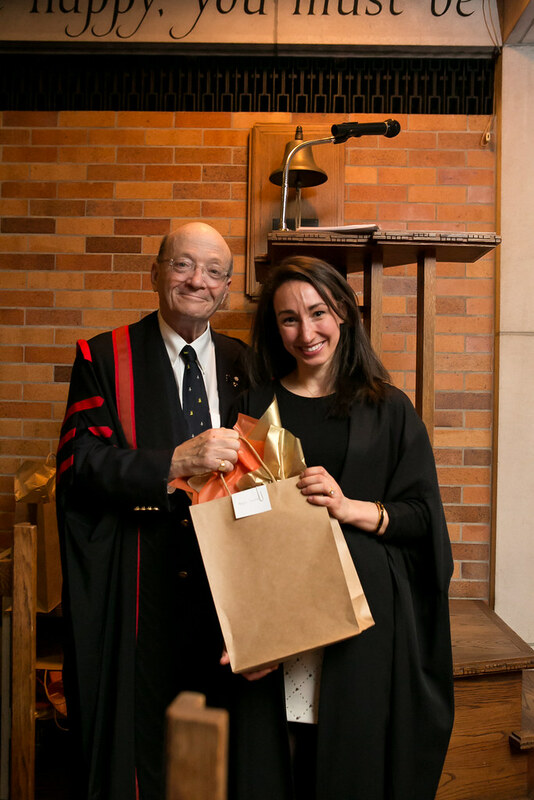 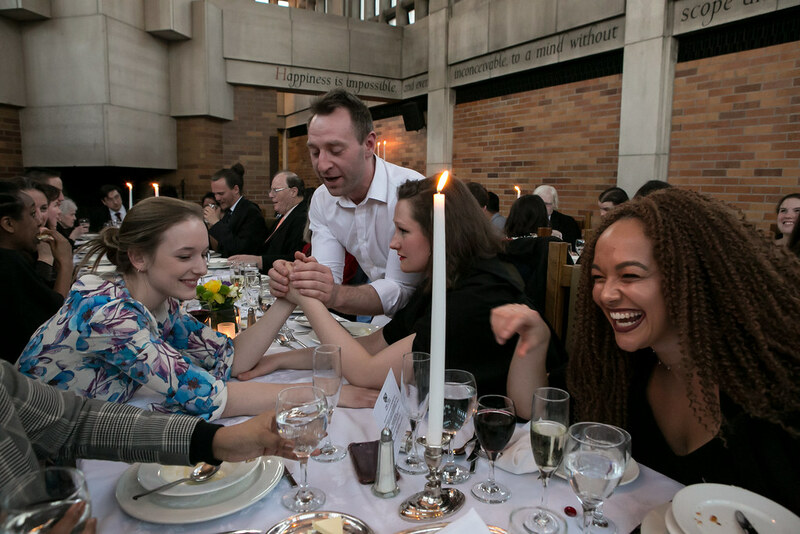 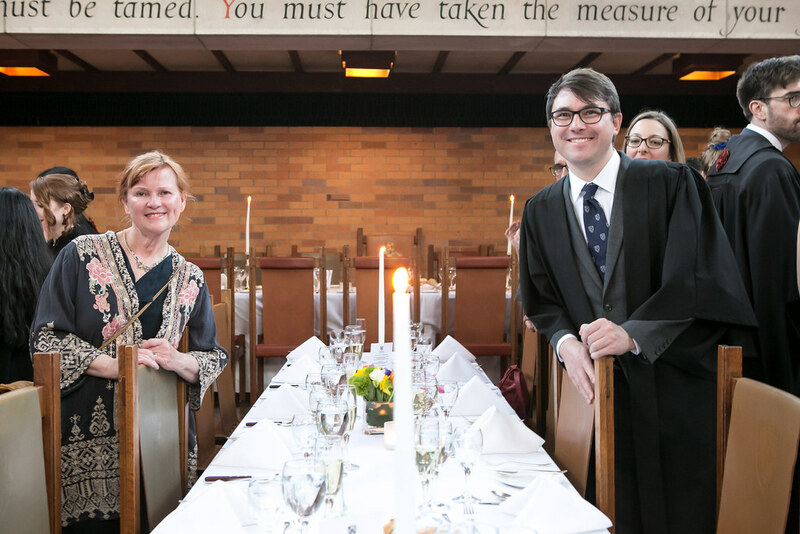 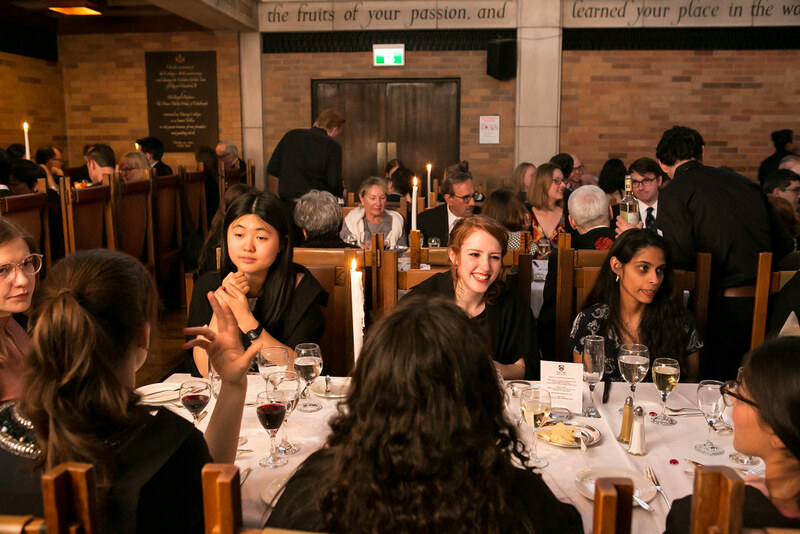 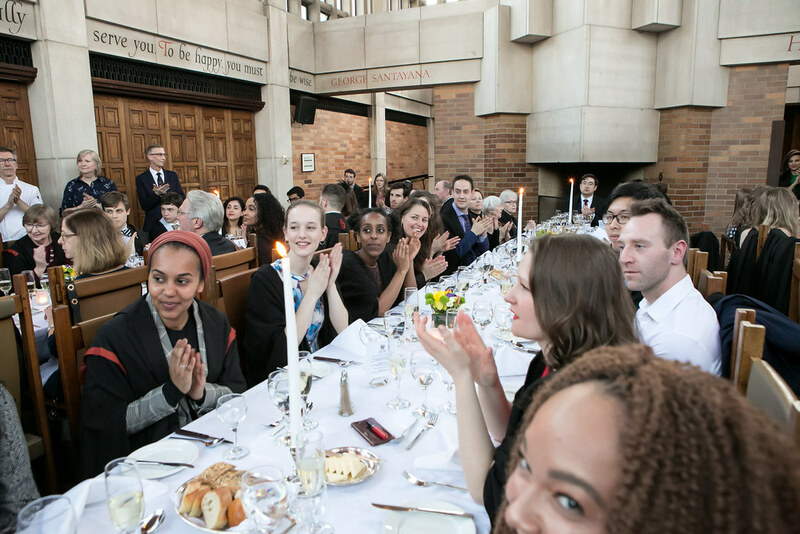 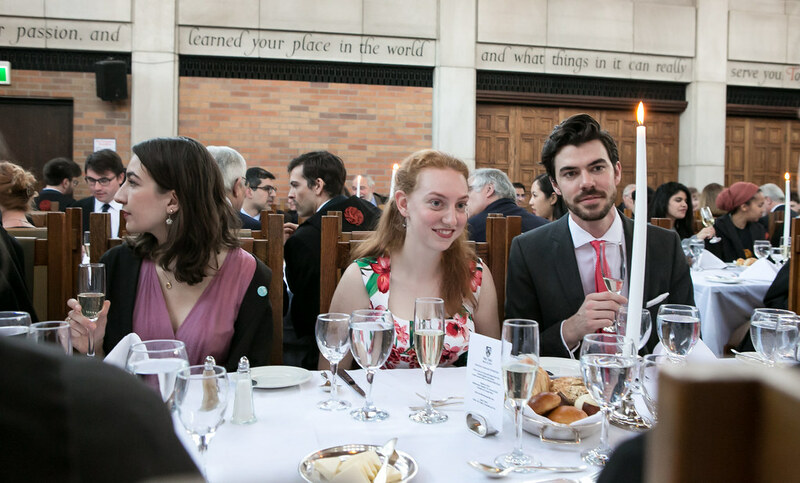 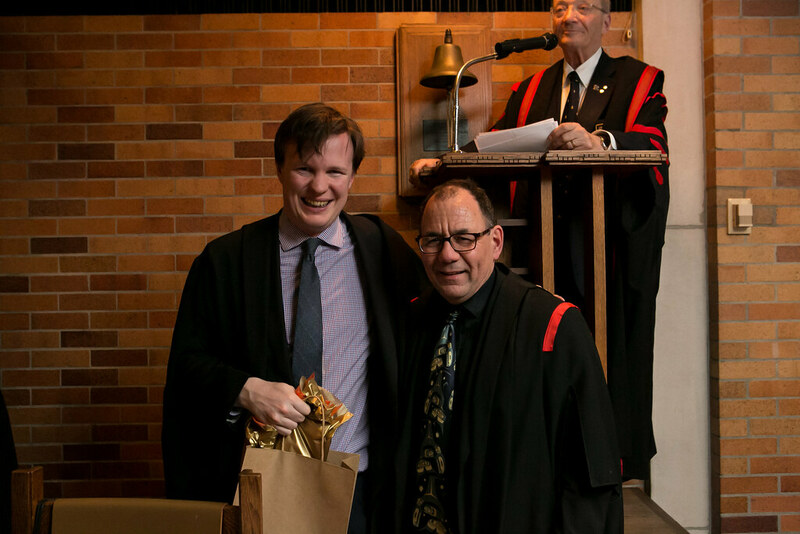 Last Friday, March 29, was our last High Table of the year, and Hugh Segal’s last as a Principal. 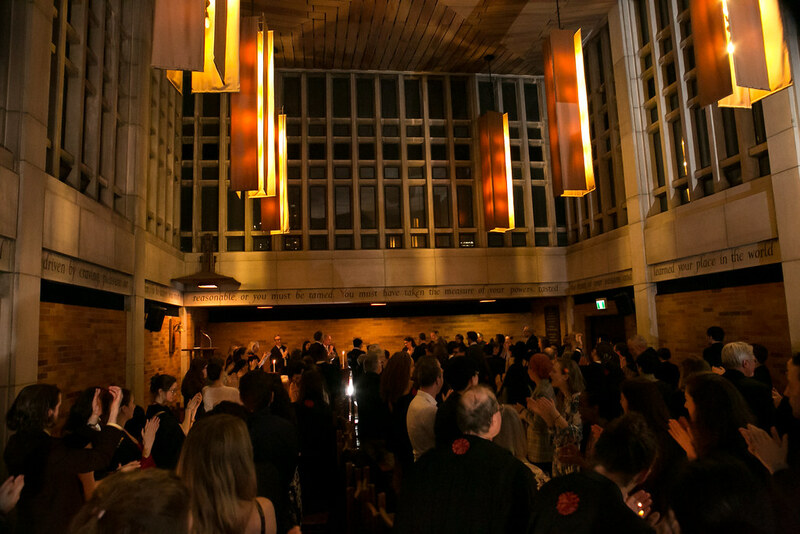 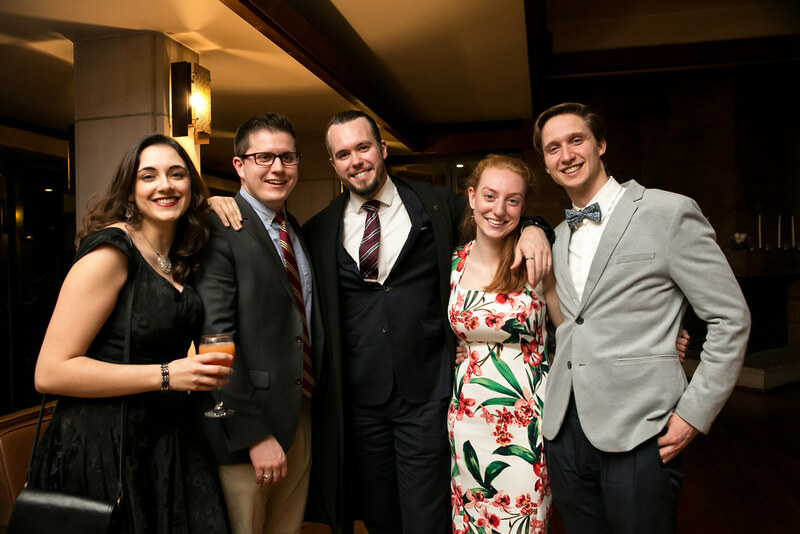 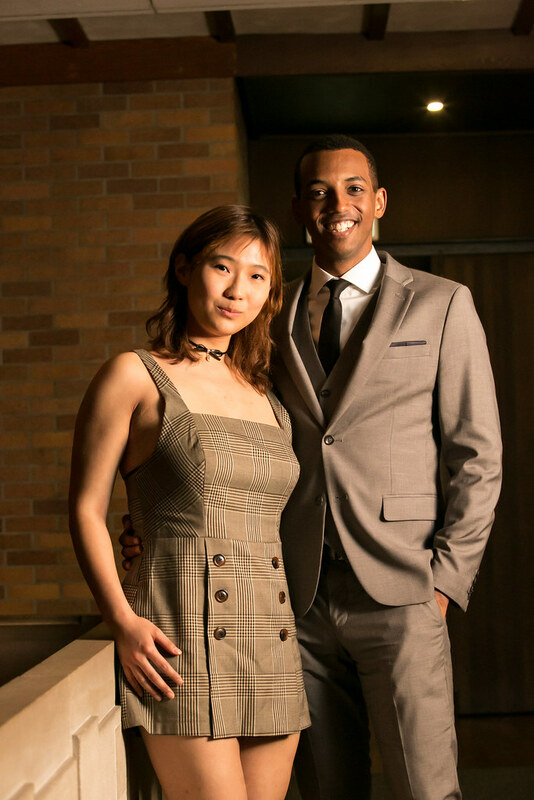 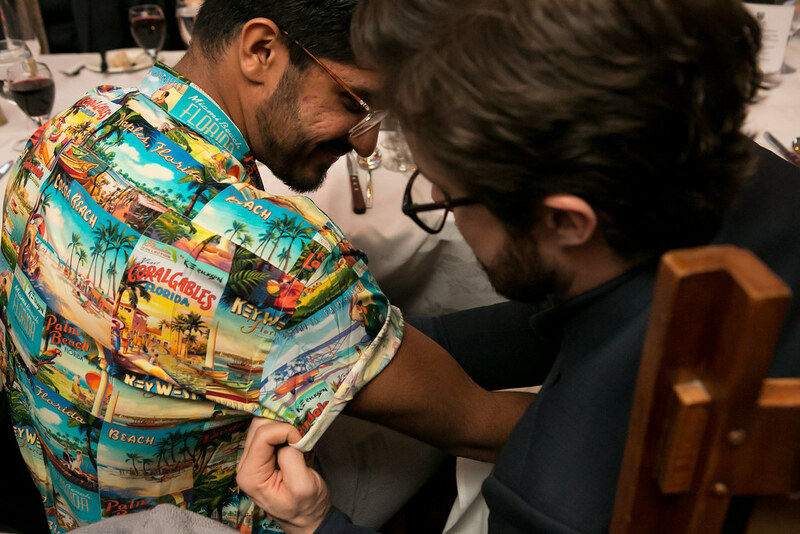 Welcome everyone to the 55th Fellows Gaudy! 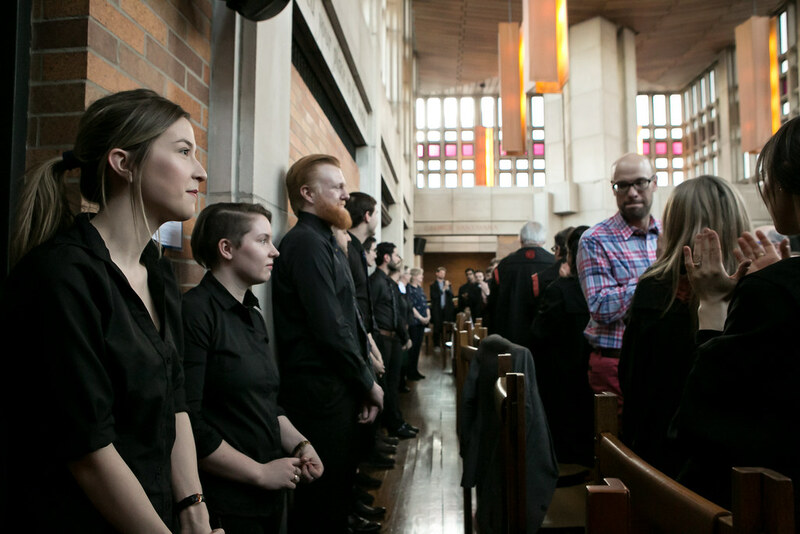 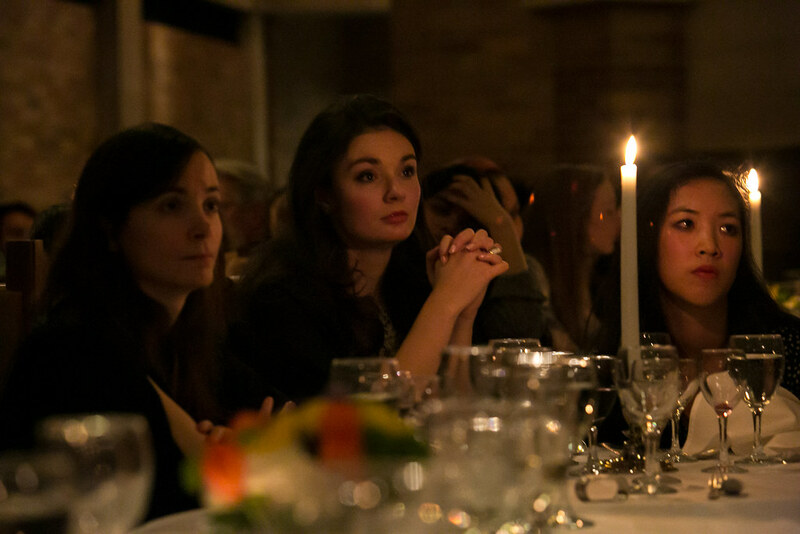 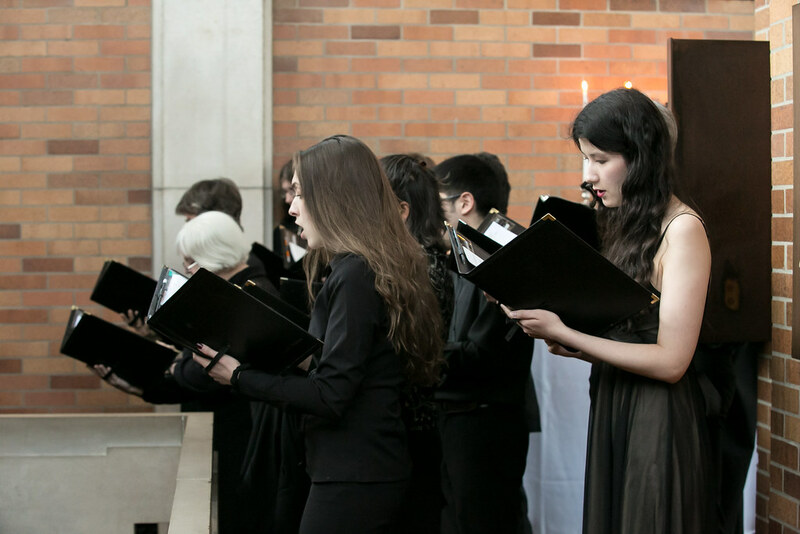 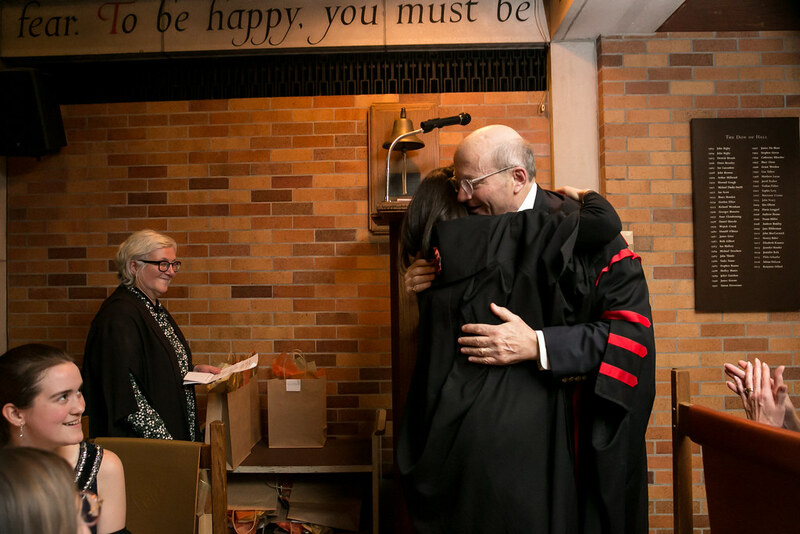 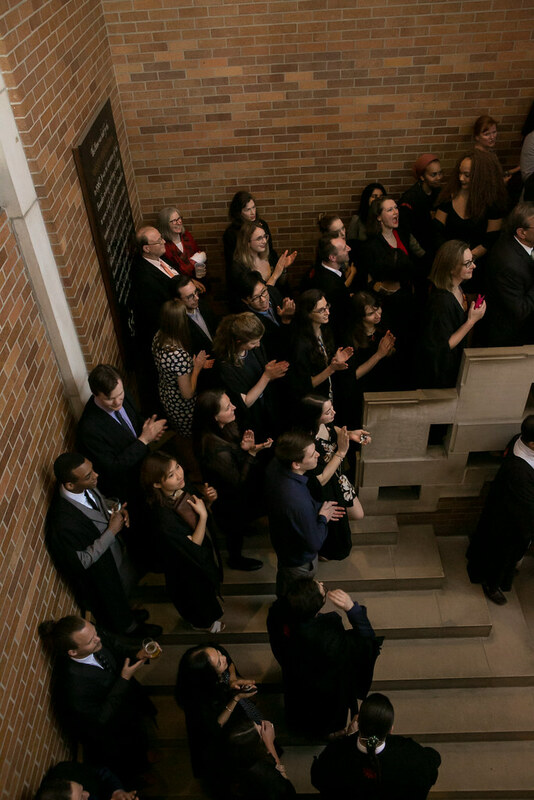 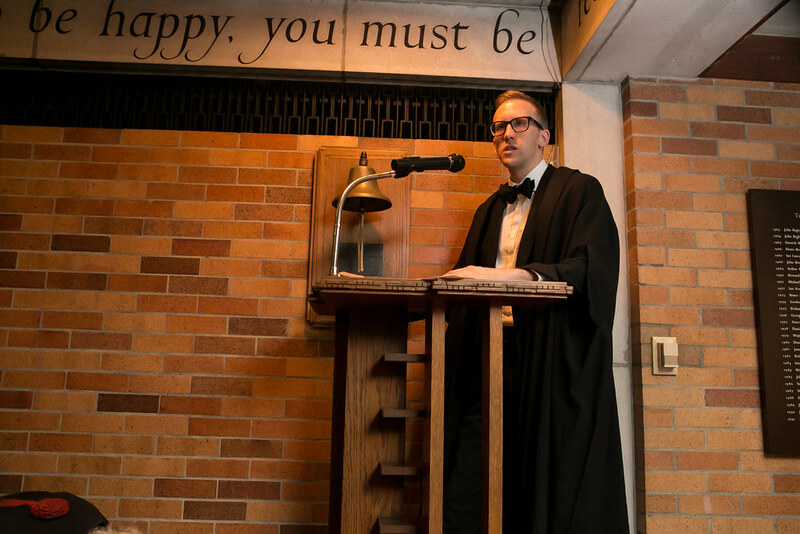 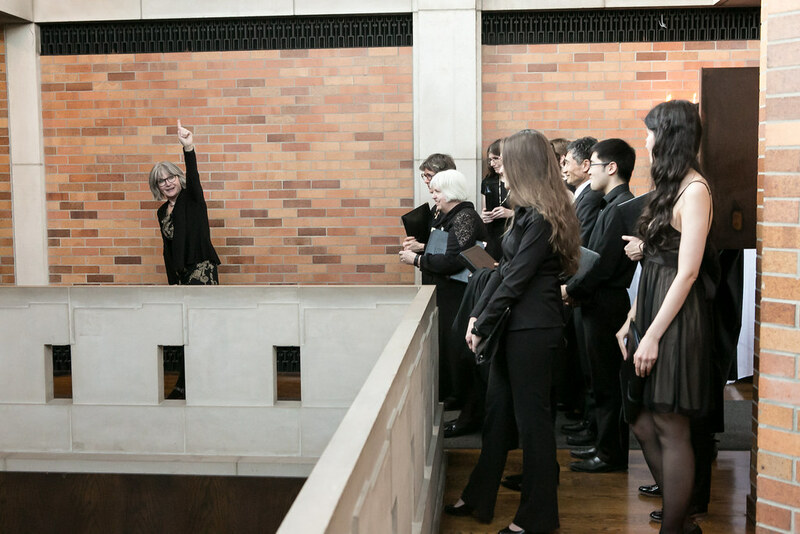 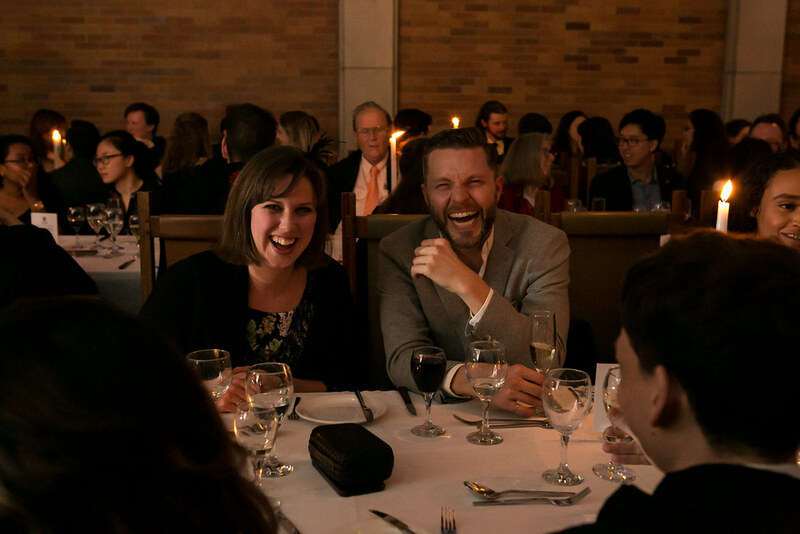 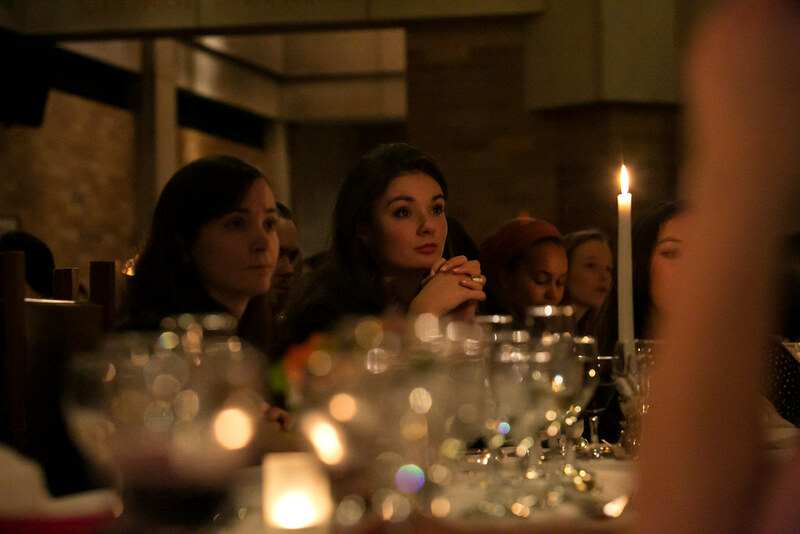 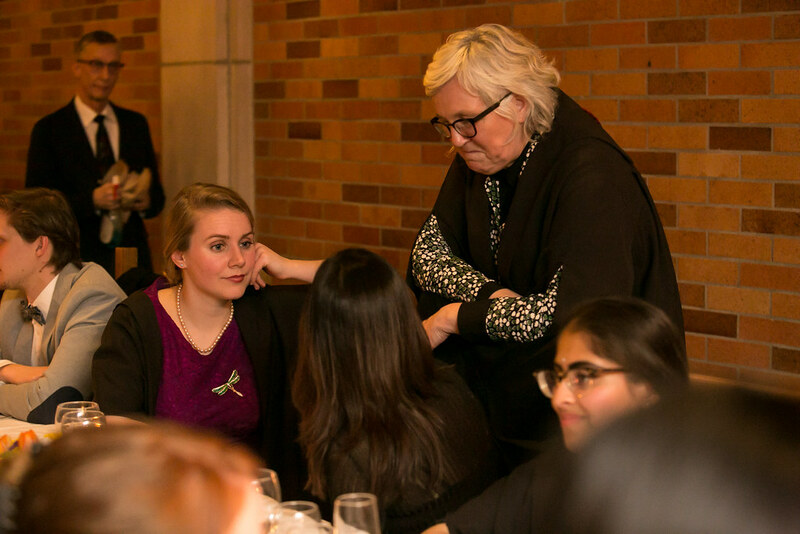 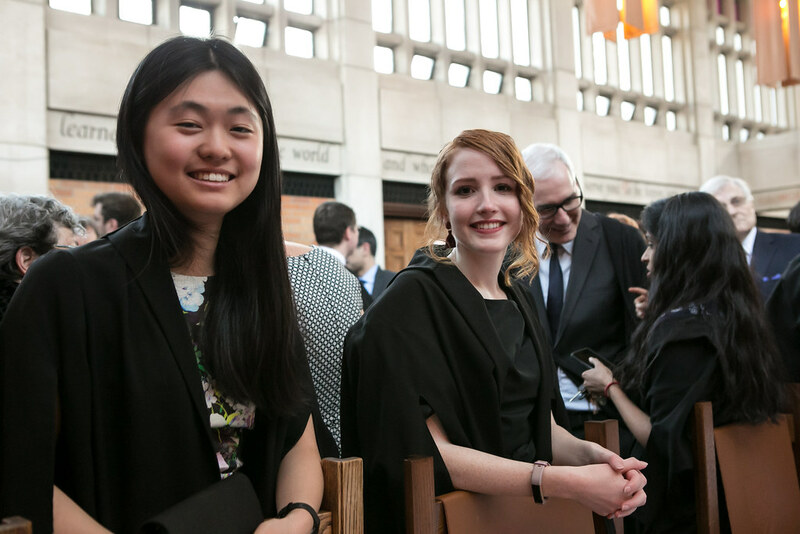 Tonight, we embrace what our Massey College mission is all about. 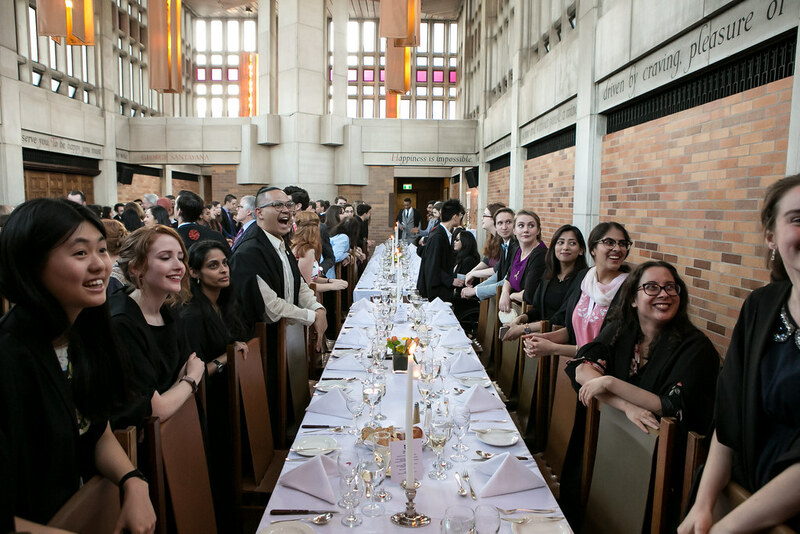 Beyond the High Tables which we relish and enjoy, beyond the Chapel Royal which we cherish, beyond the Junior Fellows Lecture Series which educate and engage, beyond the Senior Fellows Luncheons, the Science at Massey, the Massey Grand Rounds and Massey QC programme, the Moot Court and the debate, which inspire and educate, beyond the Quadrangle Society’s vital linkage to the world of town, the popular Quadrangle Book Club, the Massey Music Club, the choir, the choristers, the Christmas Gaudy, the celebrations of Hanukkah and Passover, beyond the engagement on diversity, inclusion, accessibility, beyond the remarkable food and hospitality strengthened fellowship, our main and central purpose here at this graduate residential college, Canada’s first, U of T’s only, and one of just two in Canada, is encouraging and supporting academic achievement for our Junior Fellows. 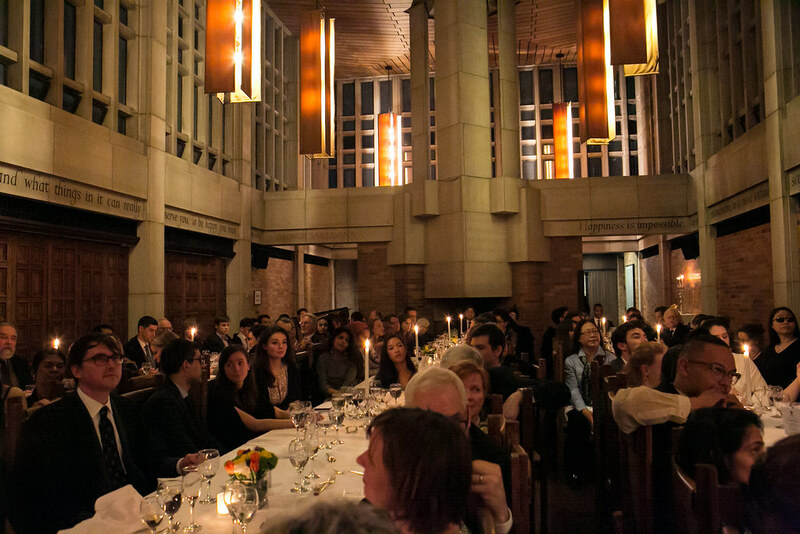 I am going to start off the evening by asking our tireless, wonderful kitchen staff to come out here for a few moments. 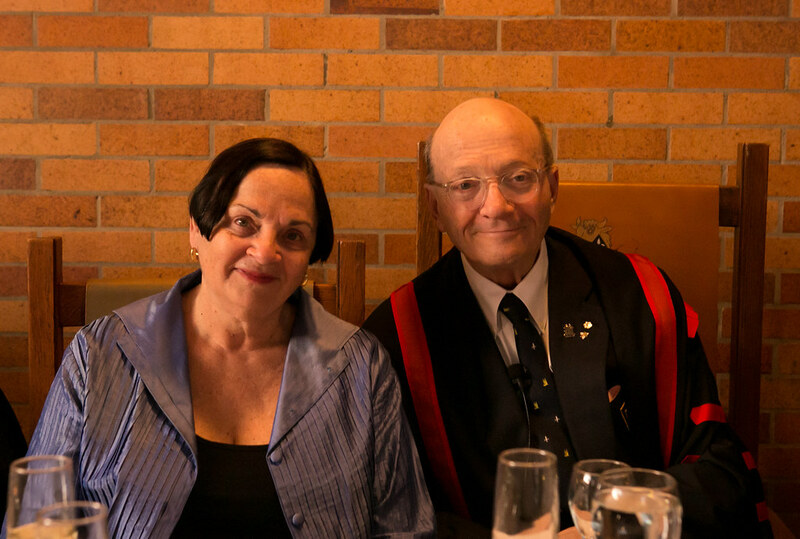 We are lucky to have them among us tonight. 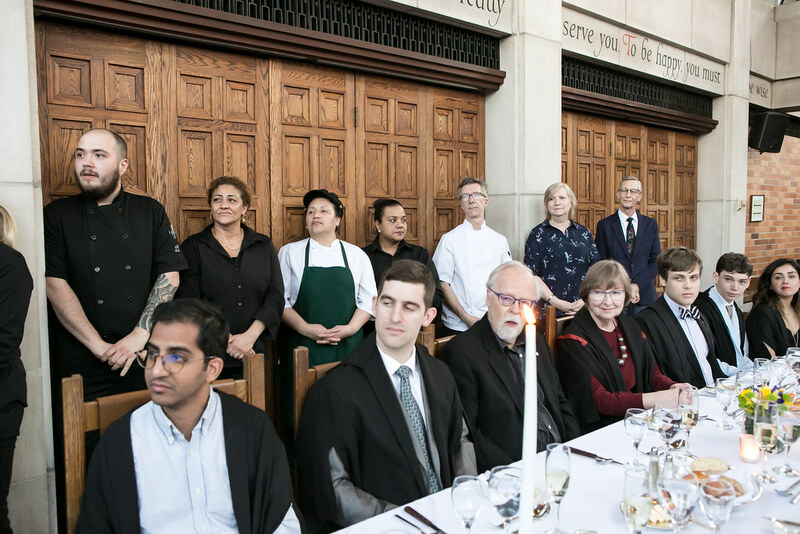 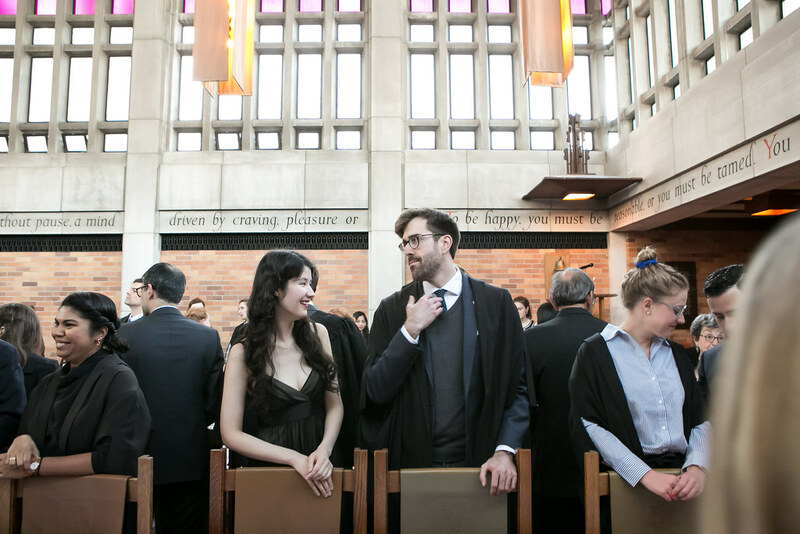 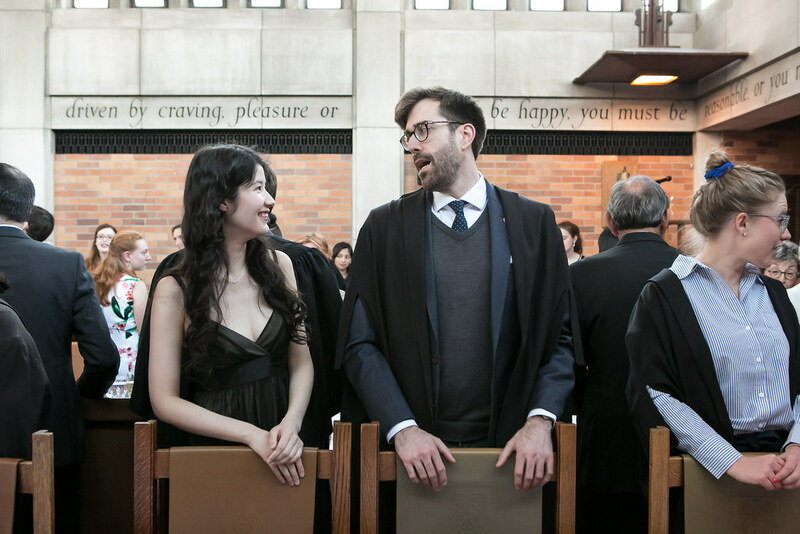 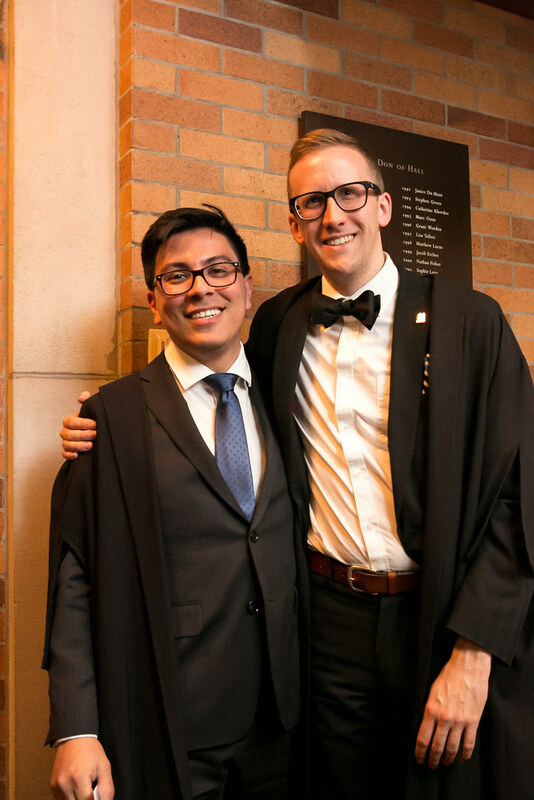 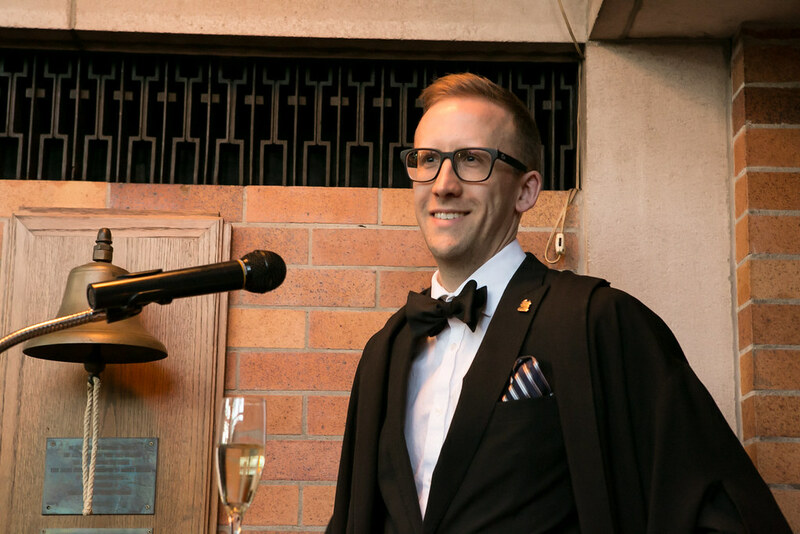 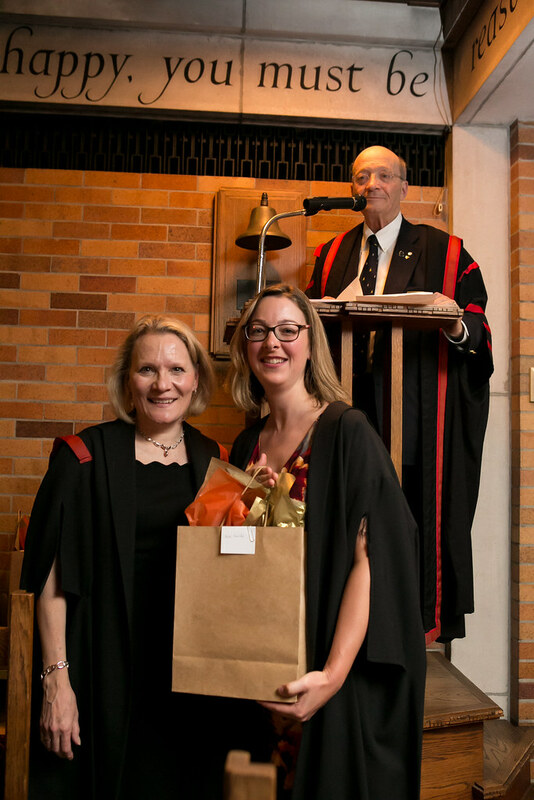 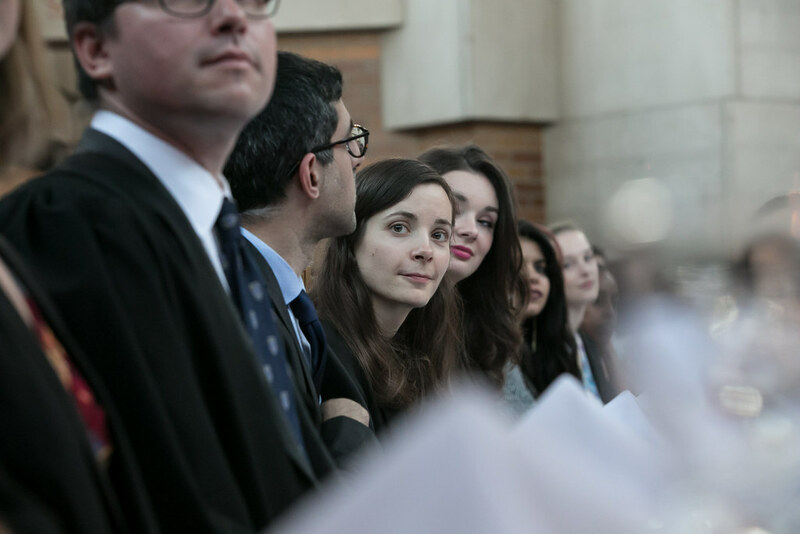 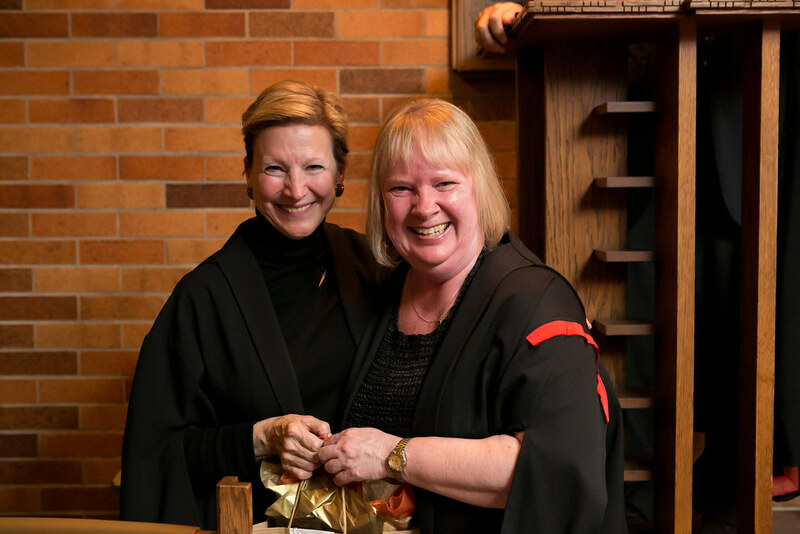 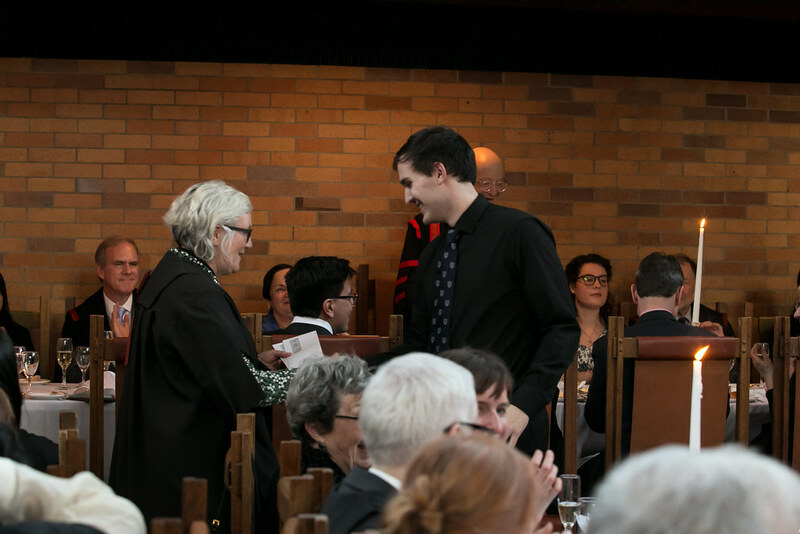 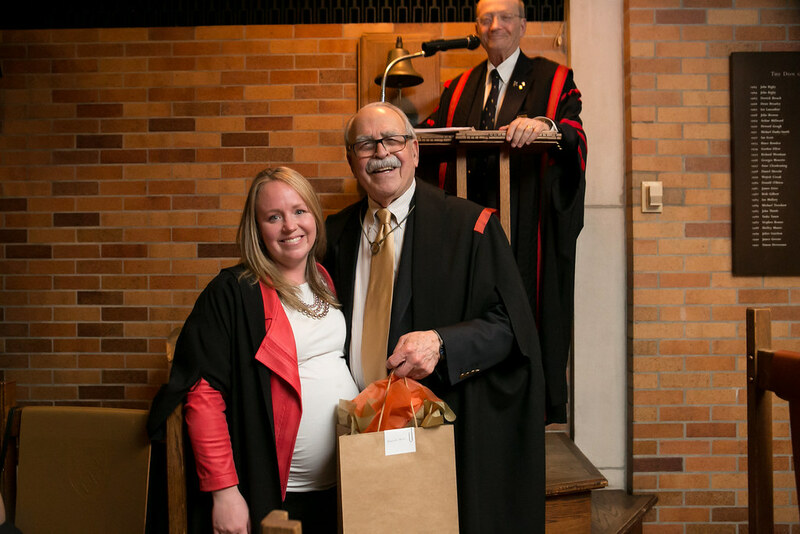 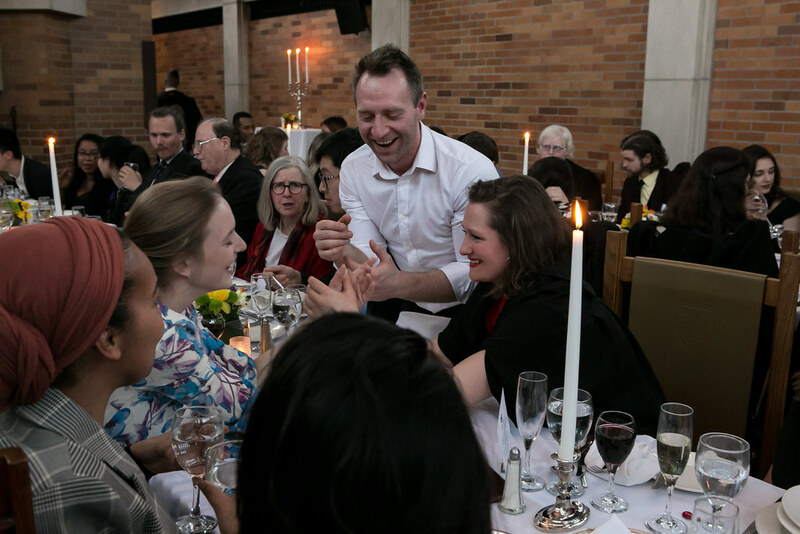 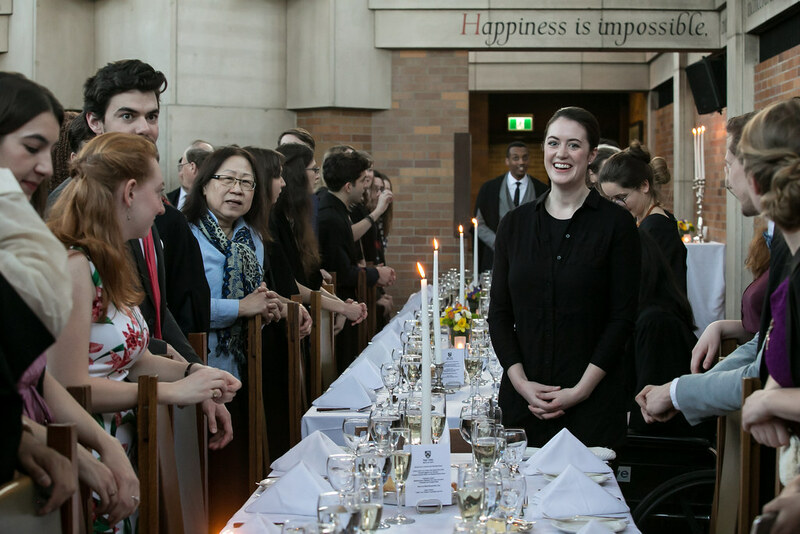 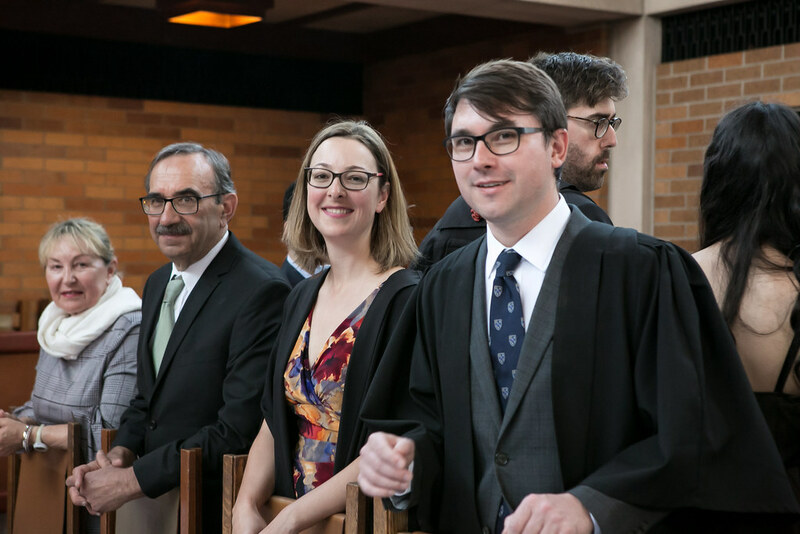 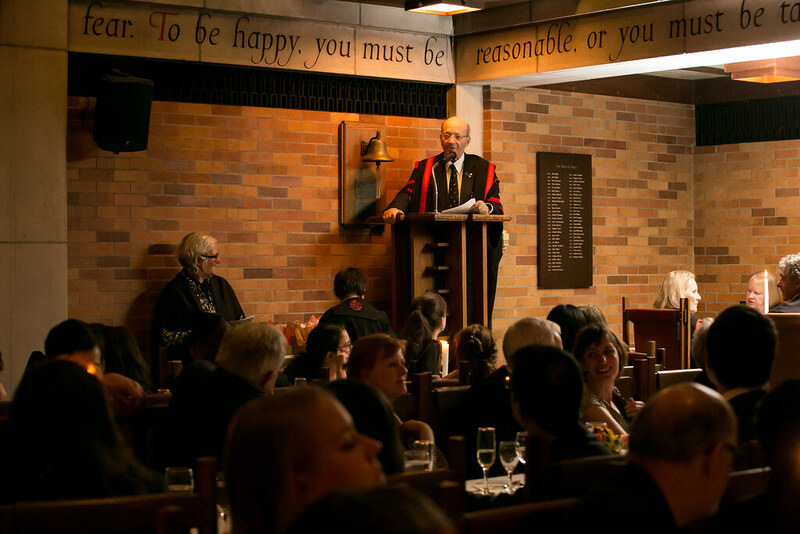 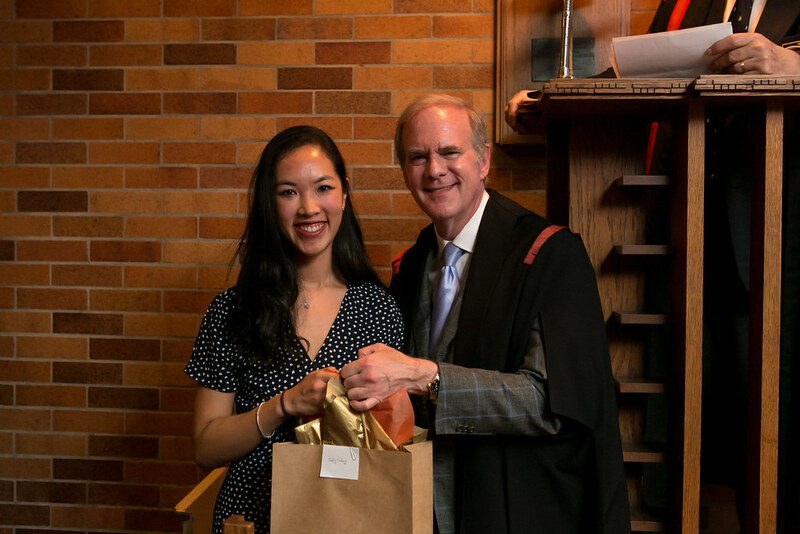 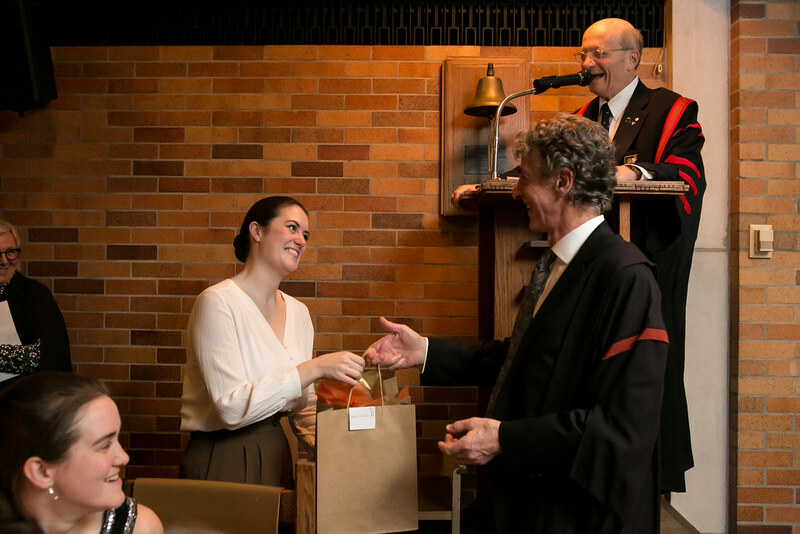 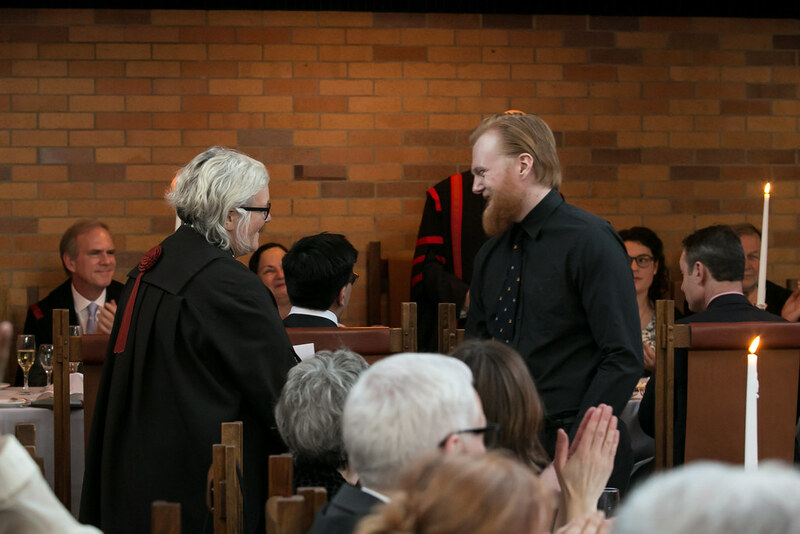 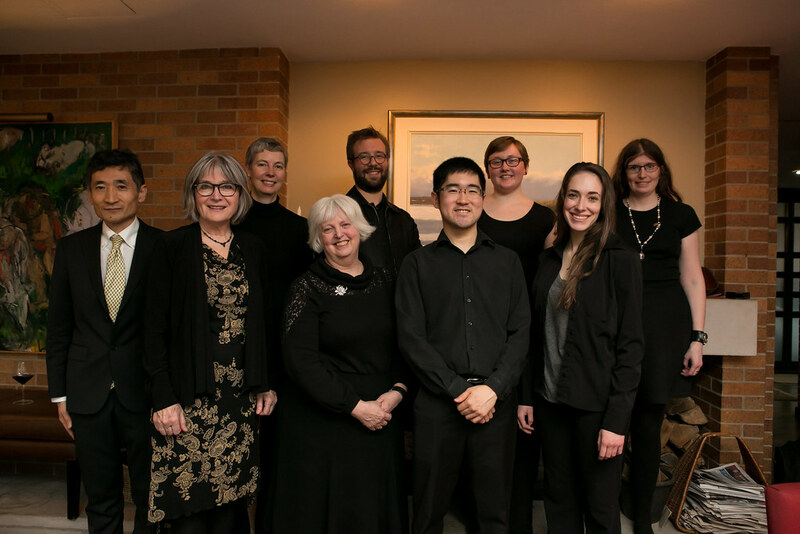 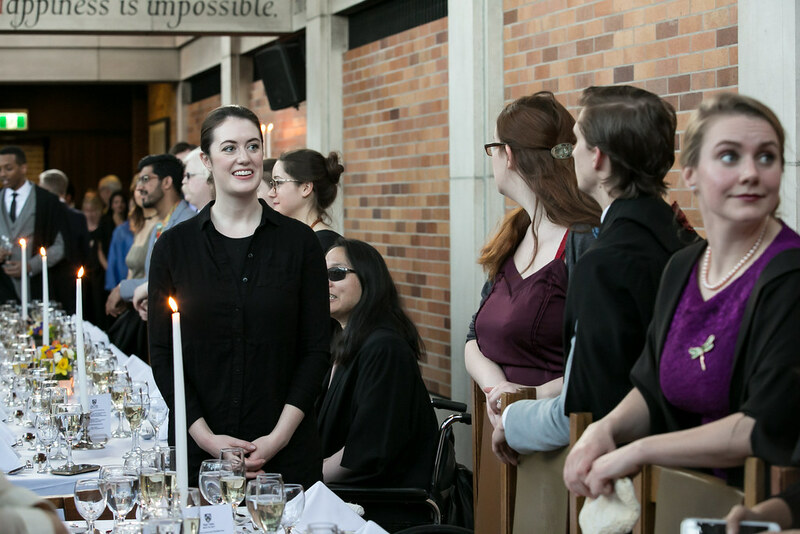 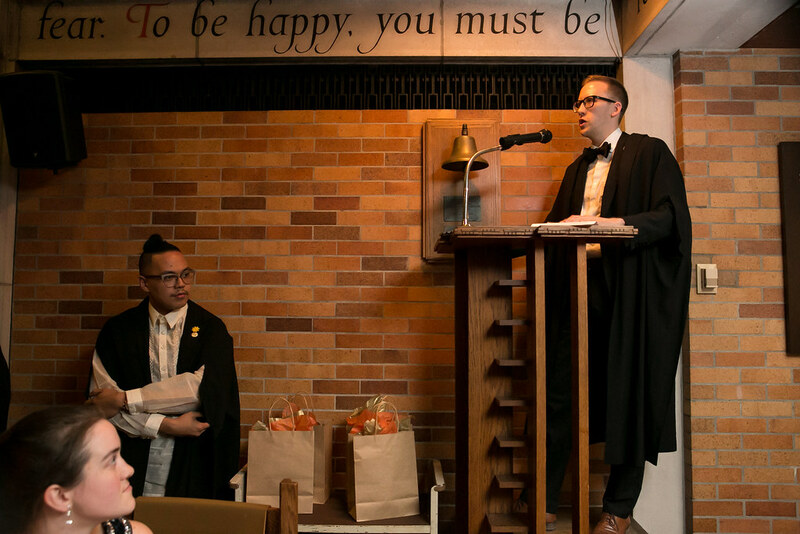 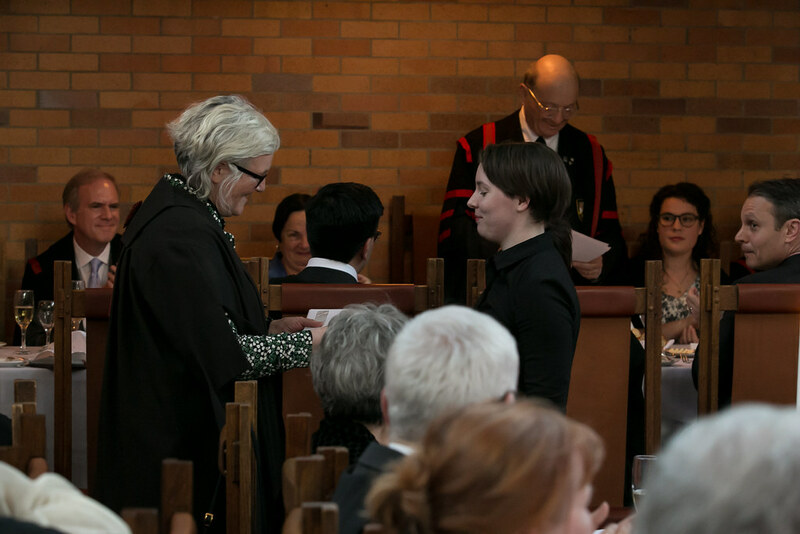 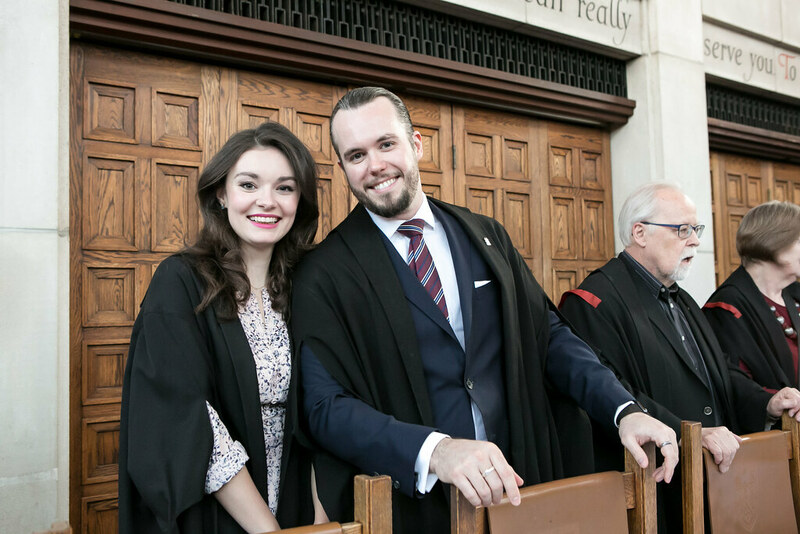 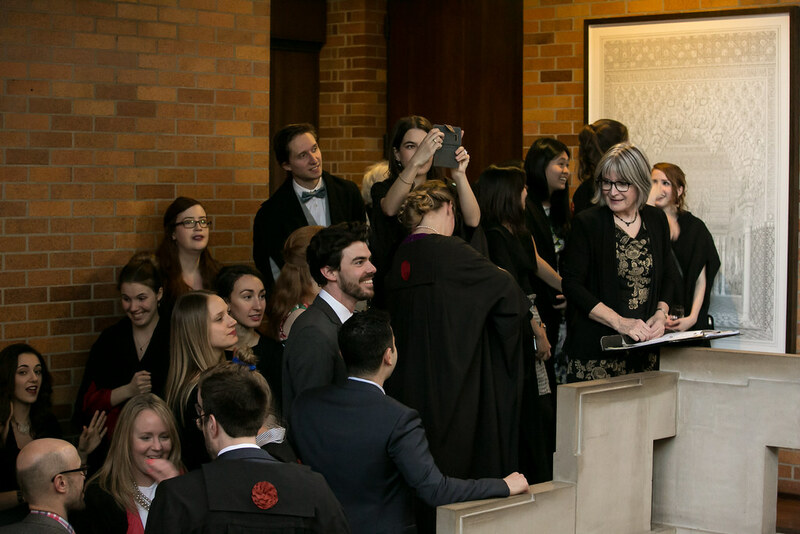 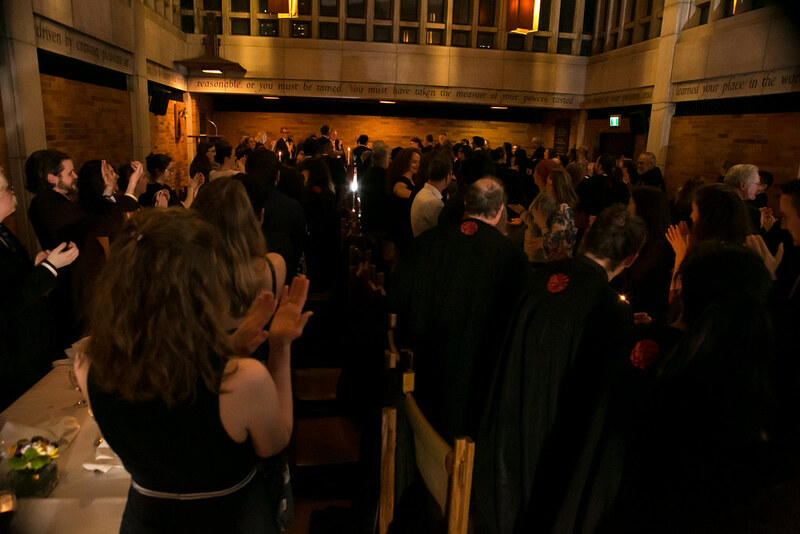 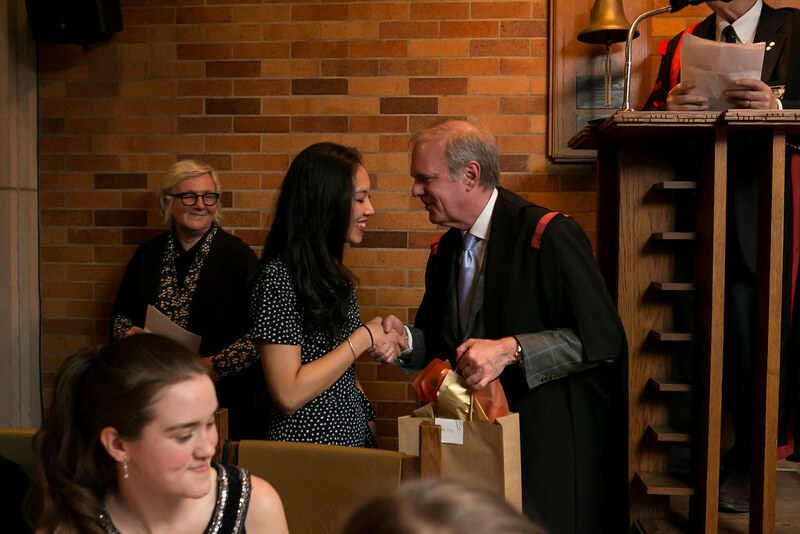 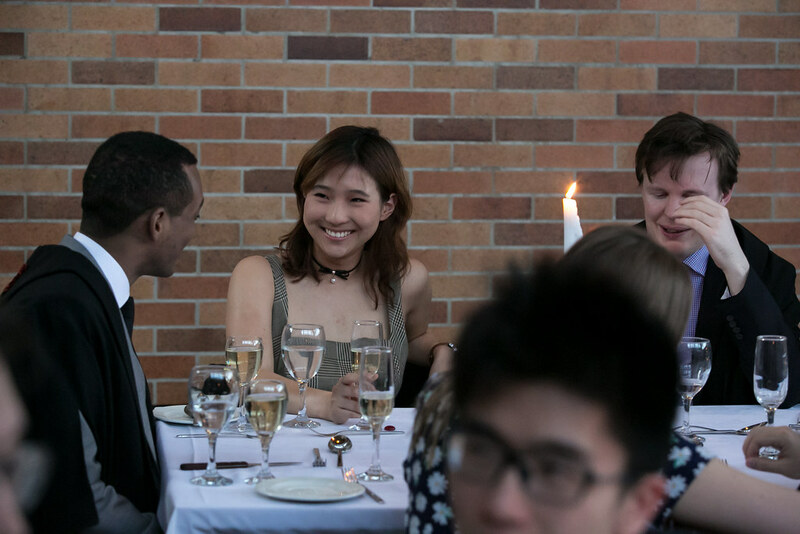 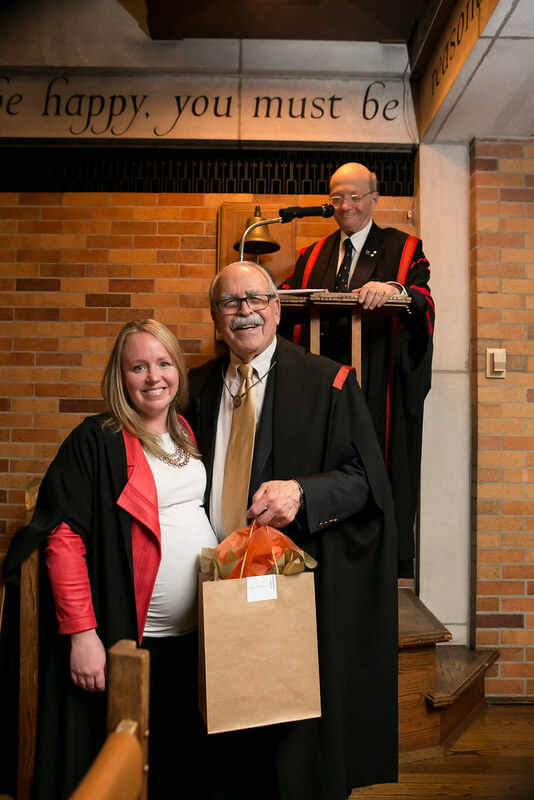 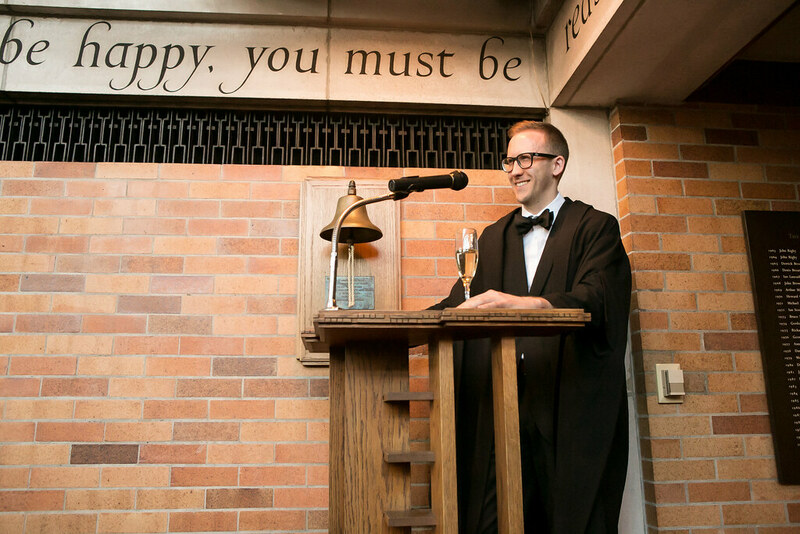 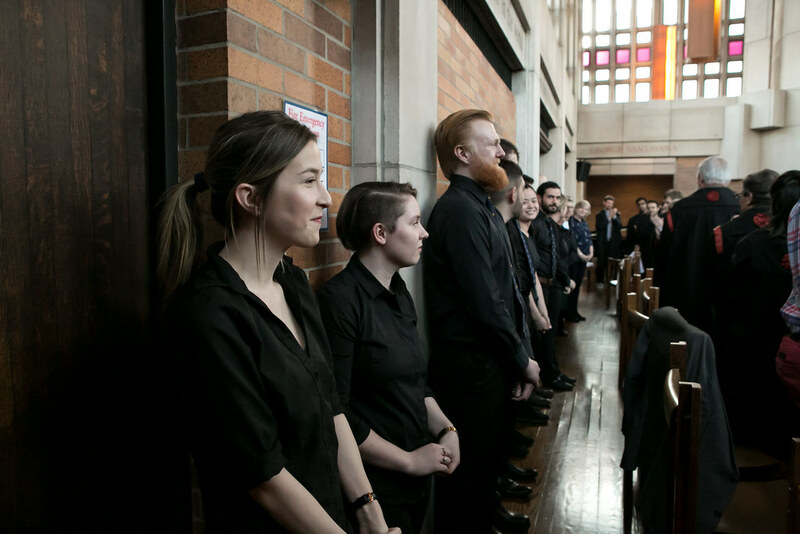 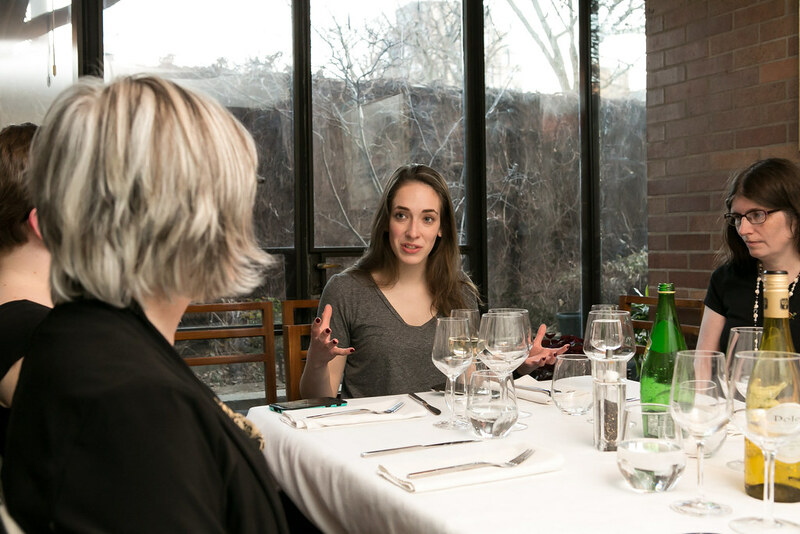 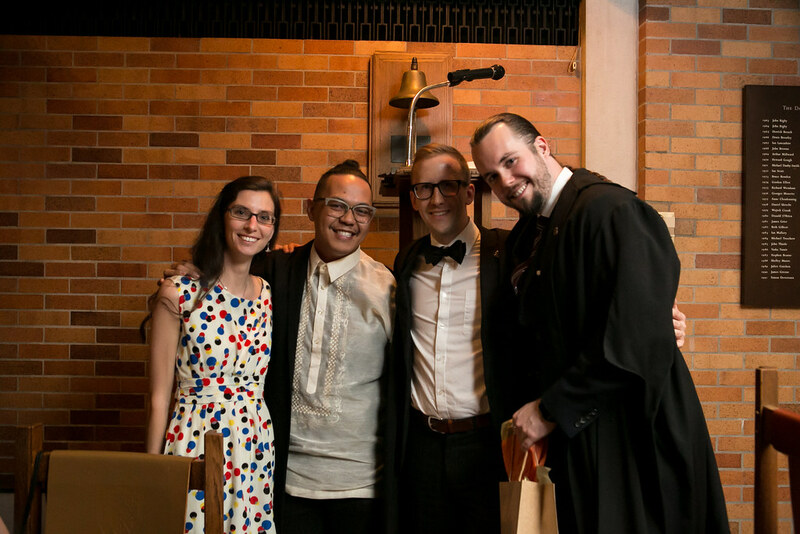 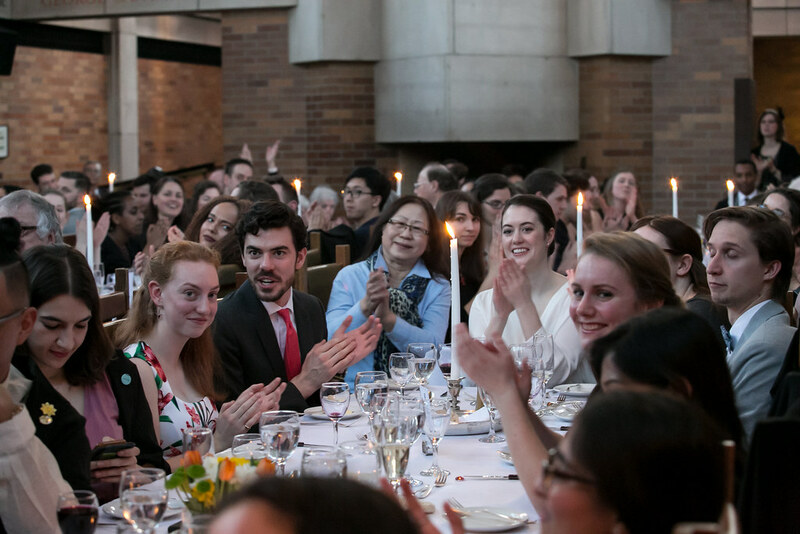 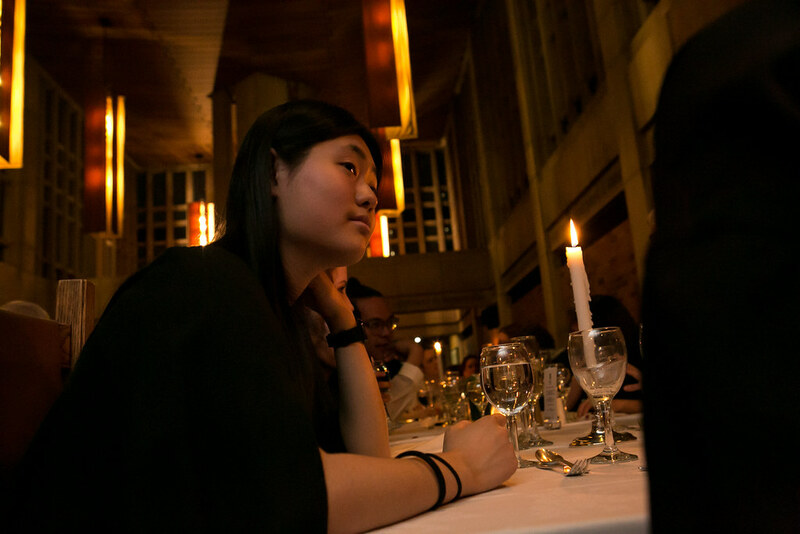 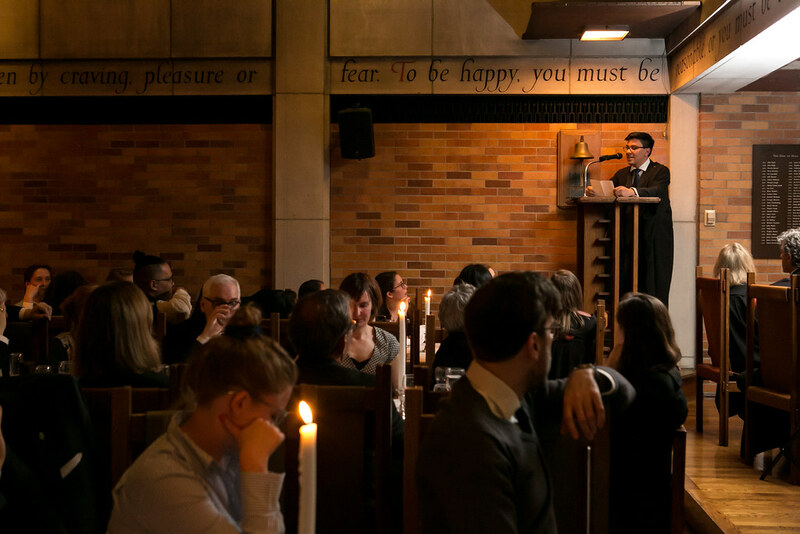 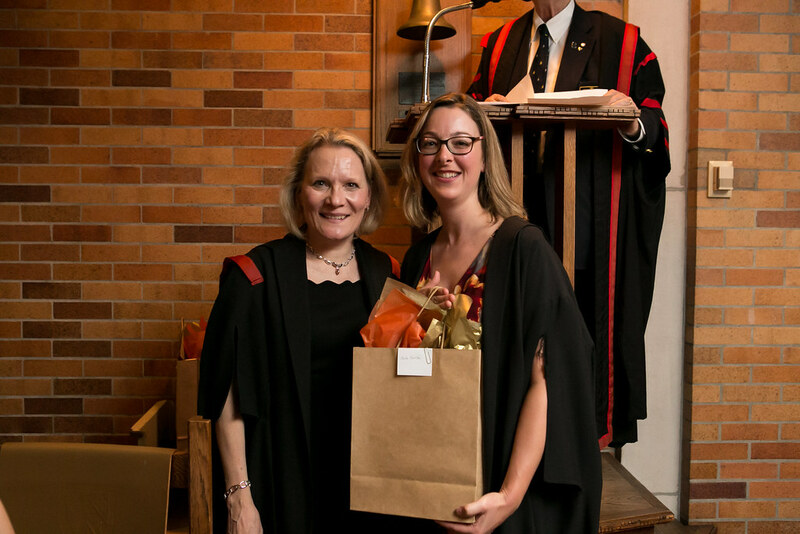 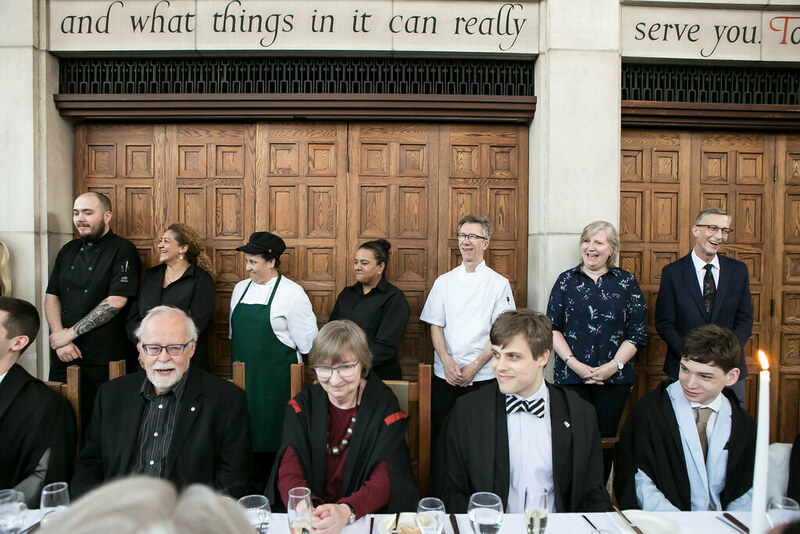 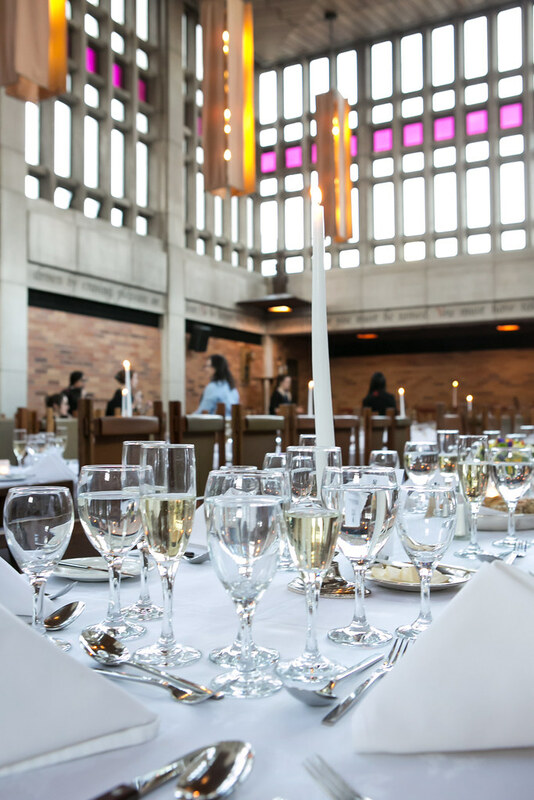 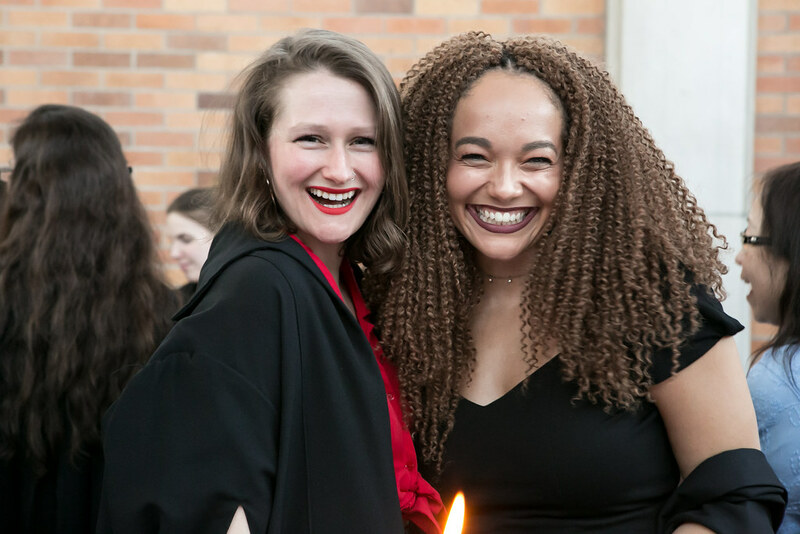 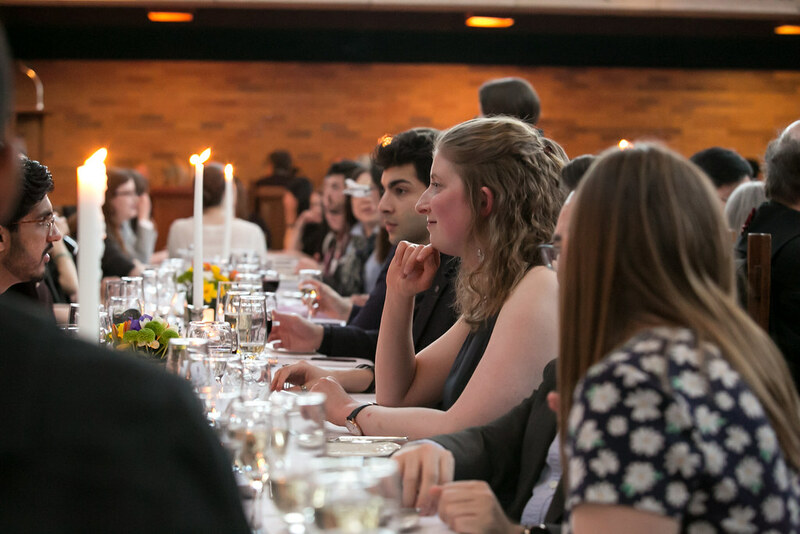 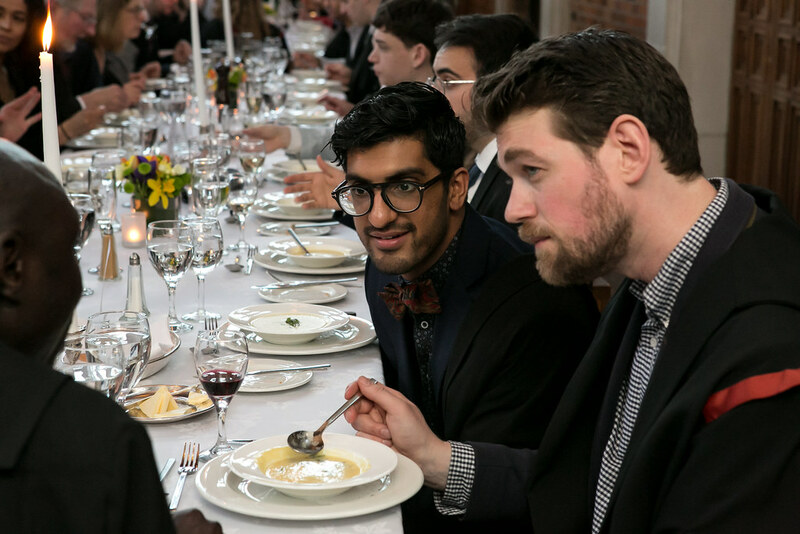 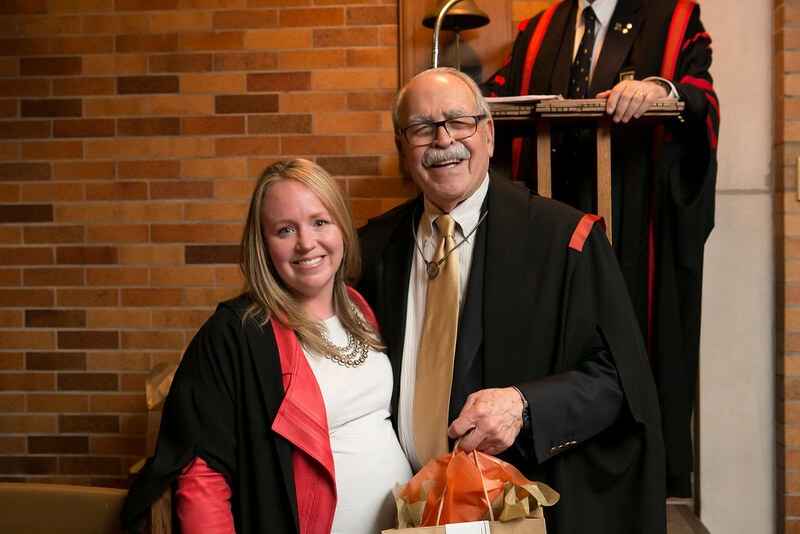 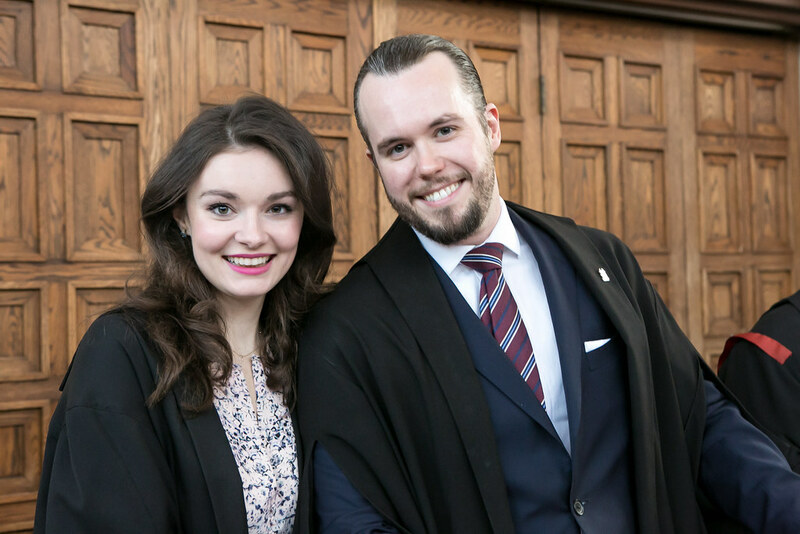 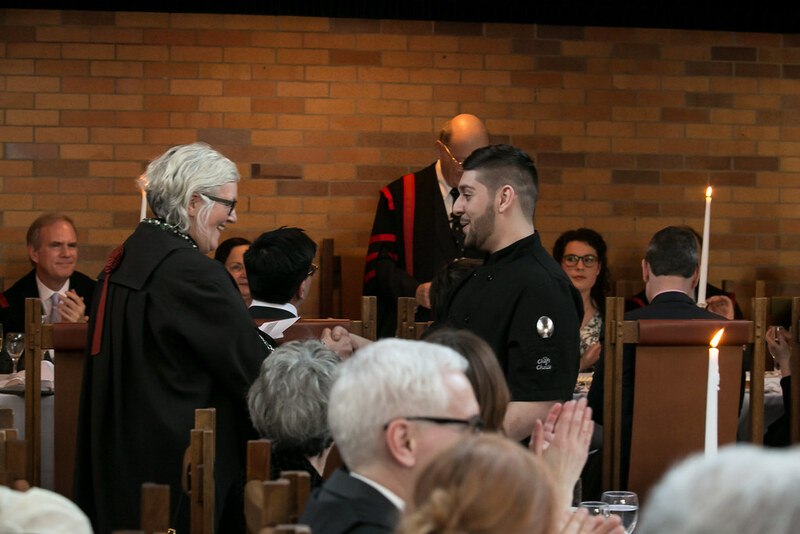 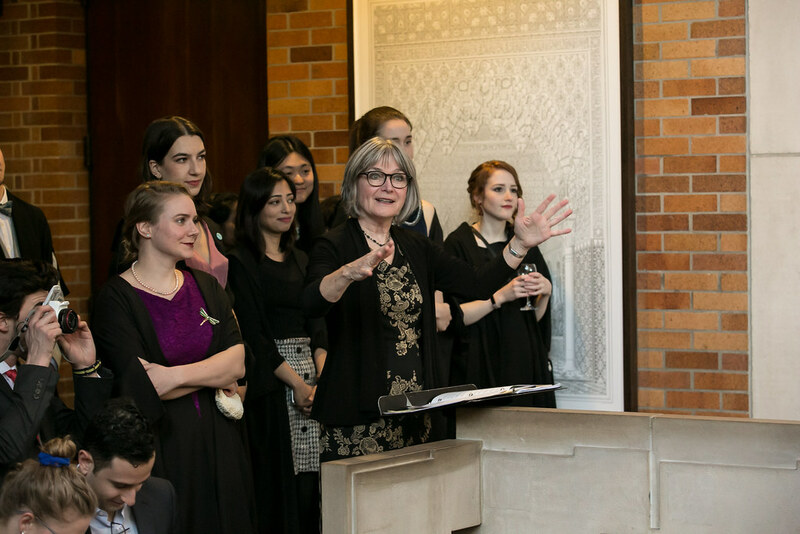 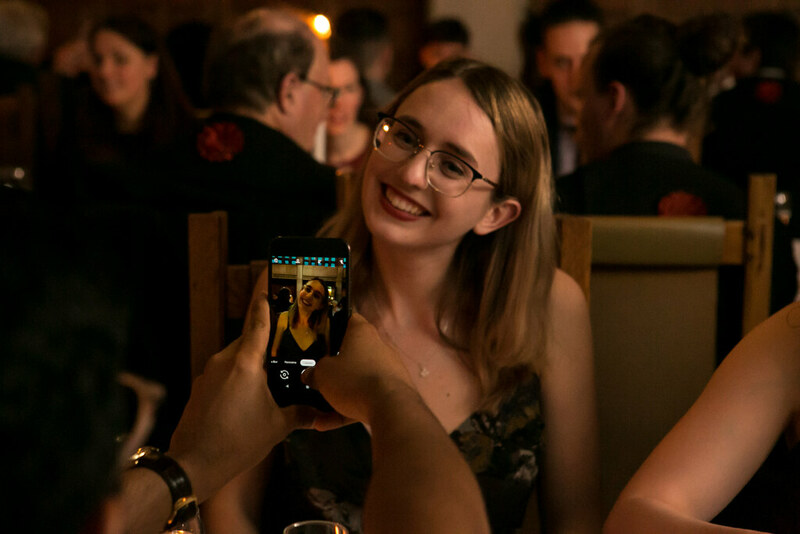 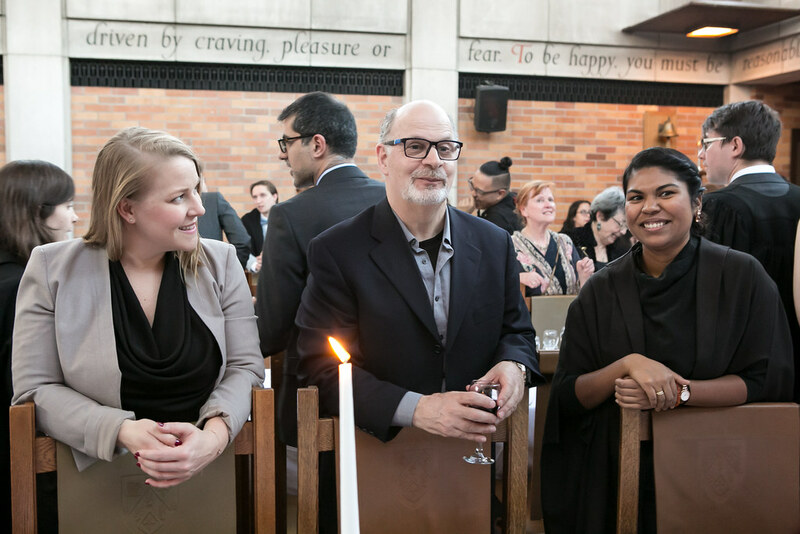 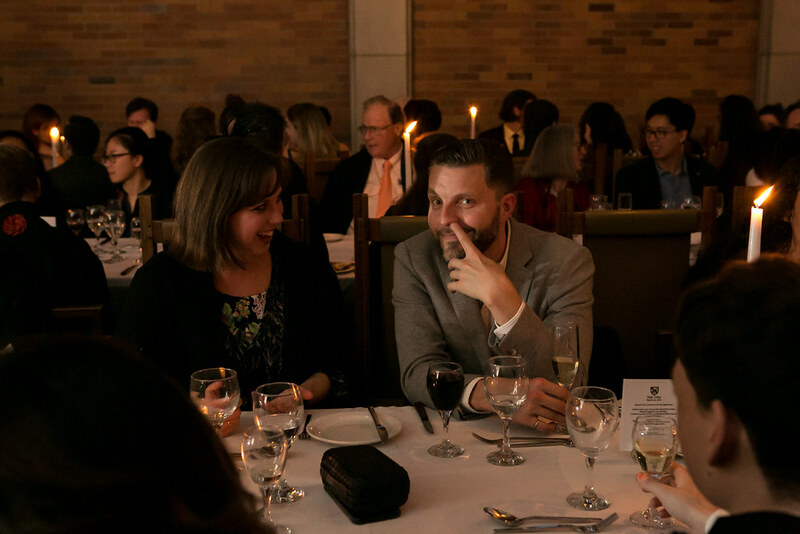 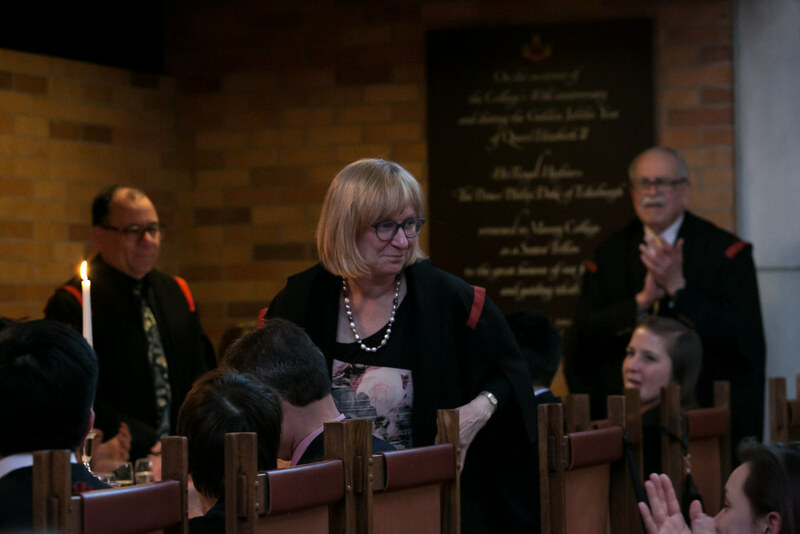 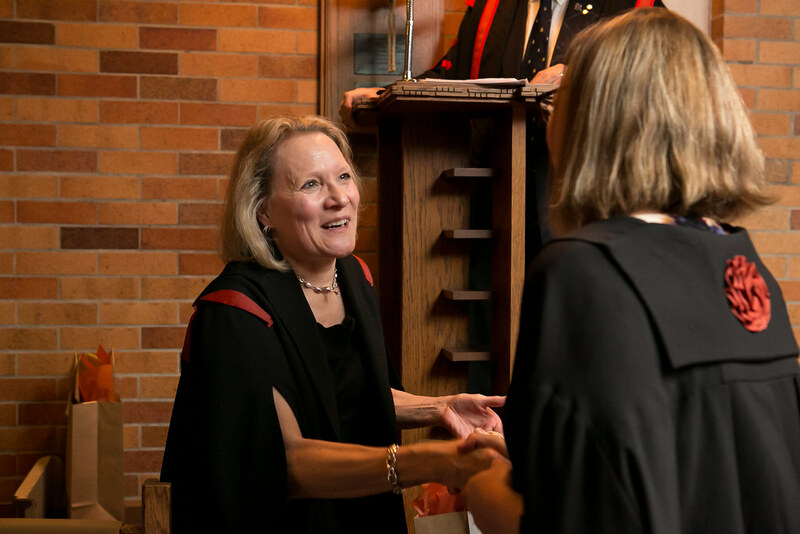 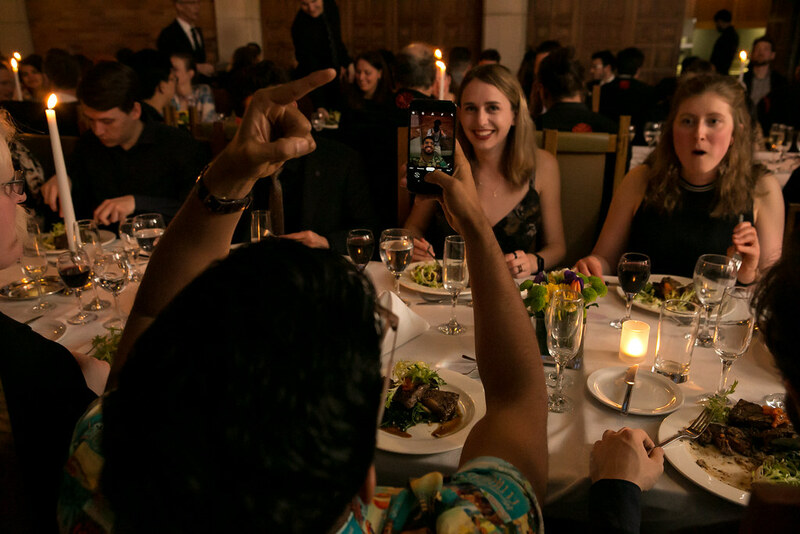 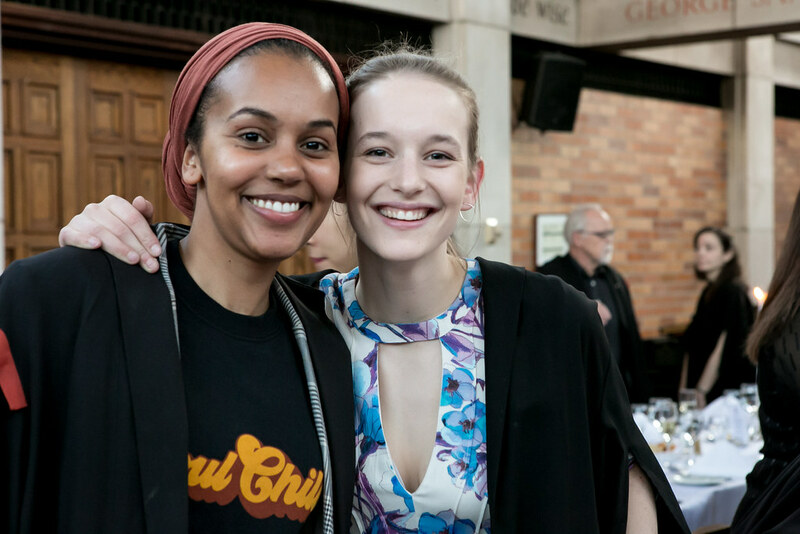 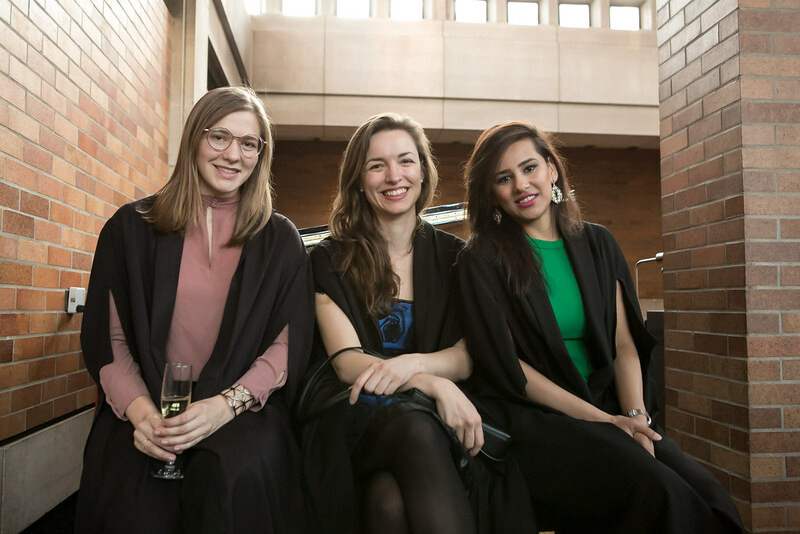 In that regard, I want to invite our remarkable catering and kitchen staff, who are, themselves pursuing their own educational paths, to step out, to receive their Massey educational bursaries, and receive the well-deserved approbation of a grateful College!